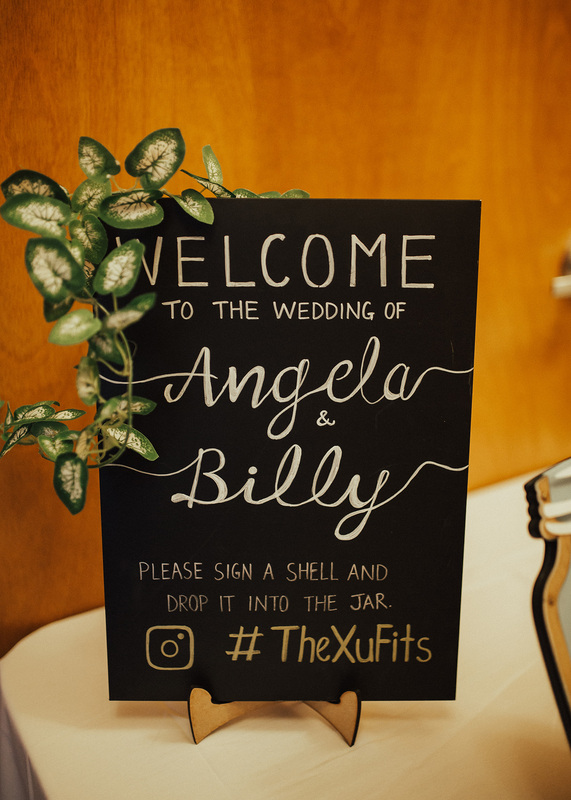 Angela + Billy are THEE sweetest couple. 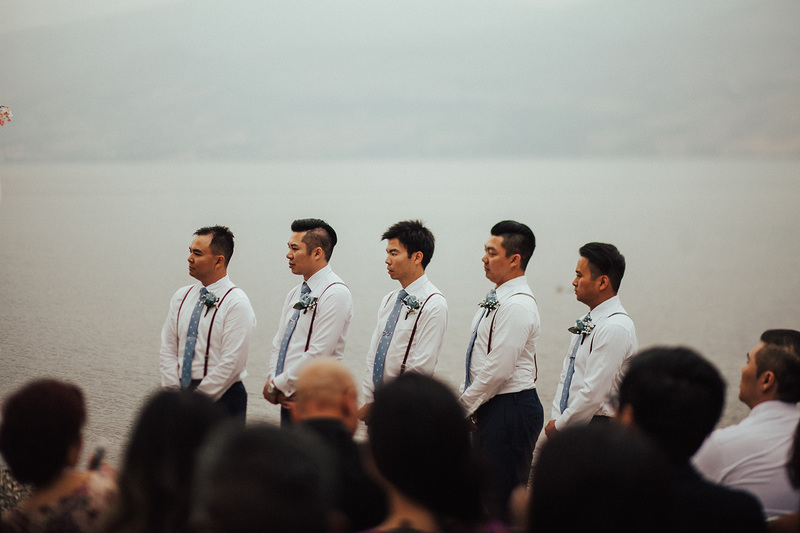 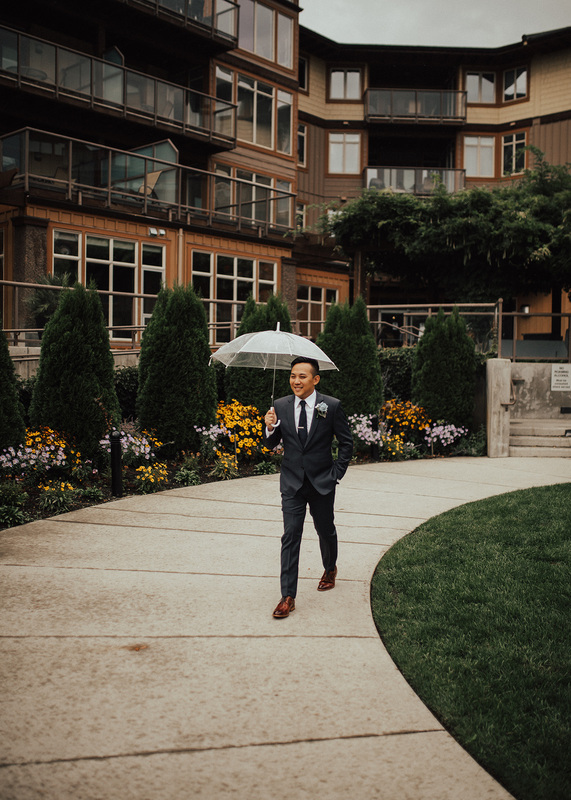 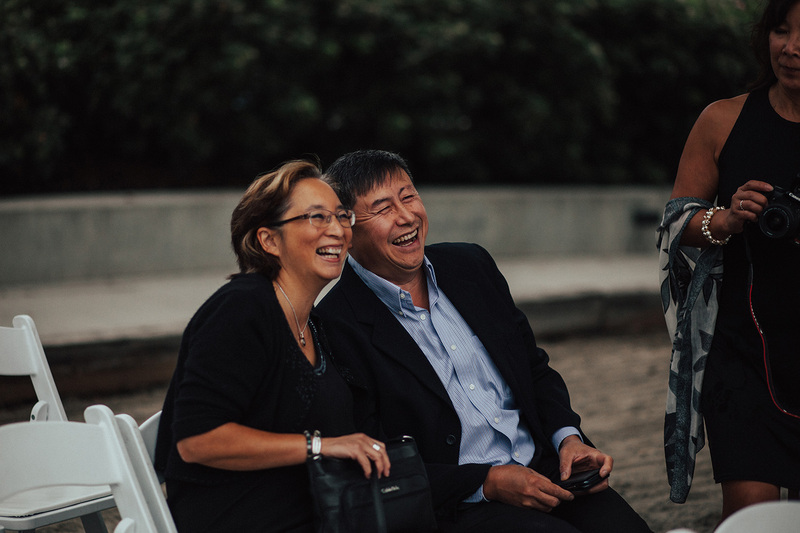 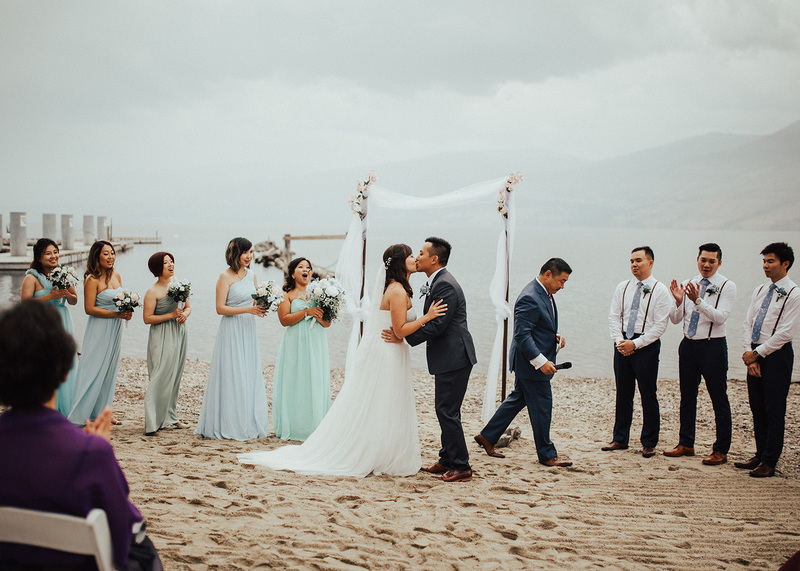 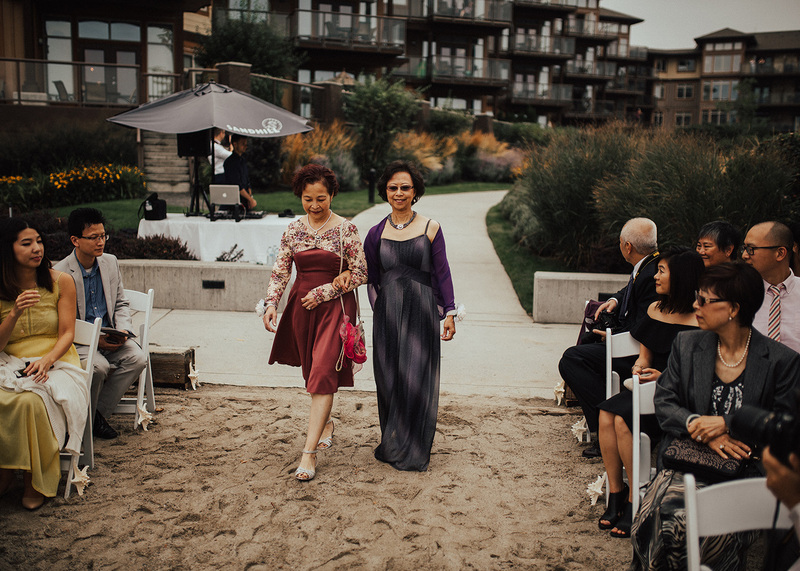 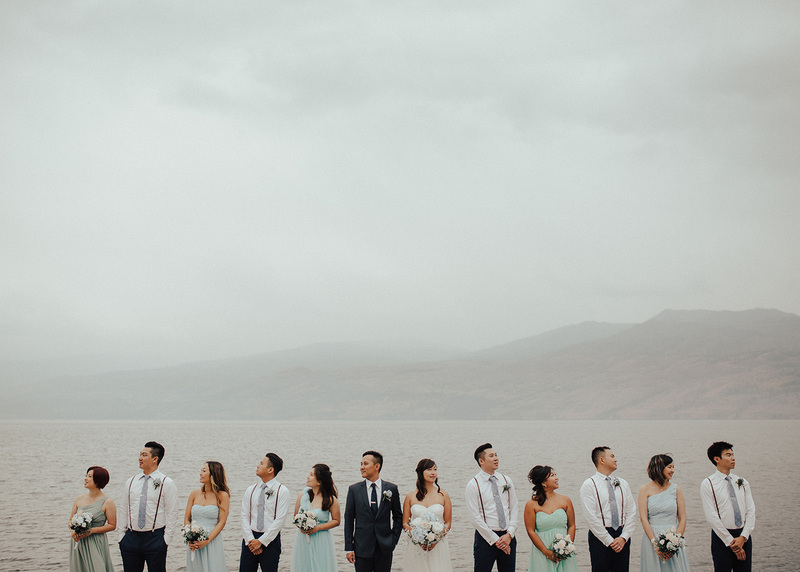 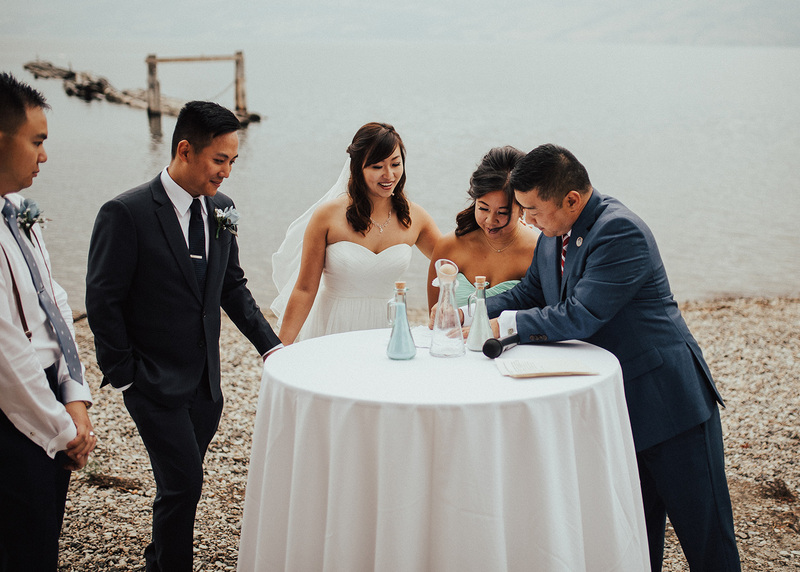 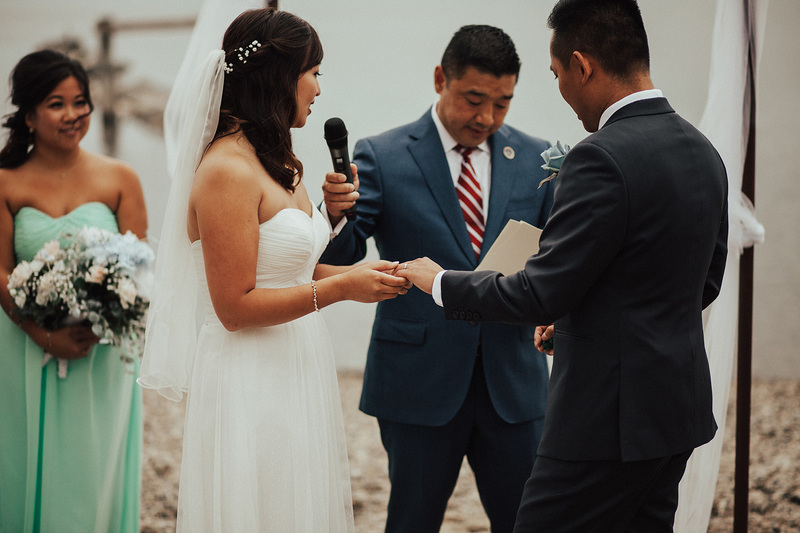 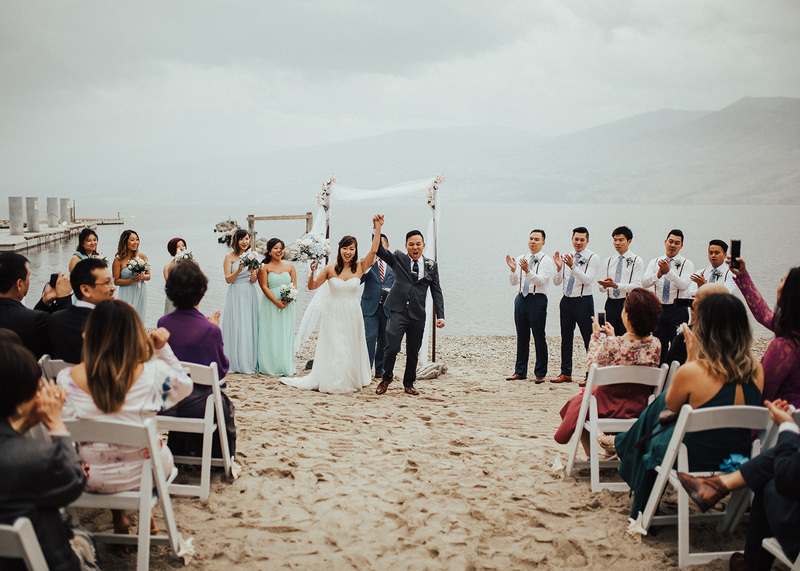 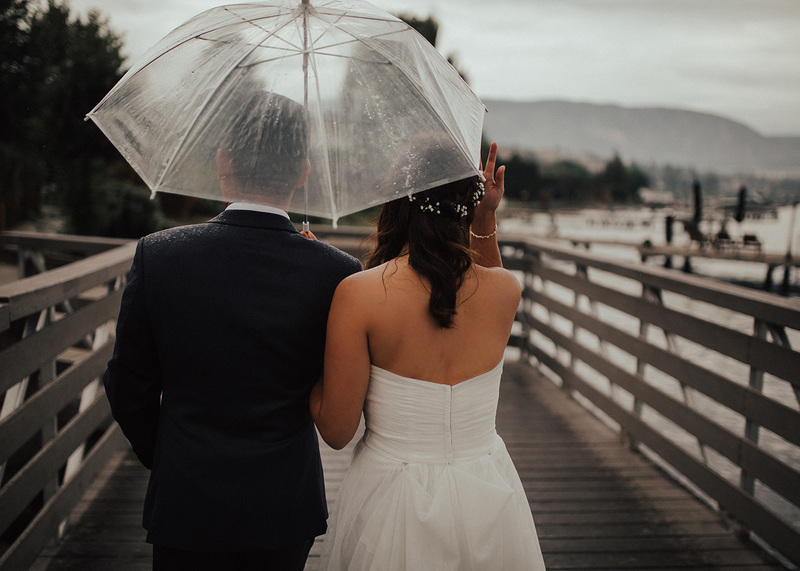 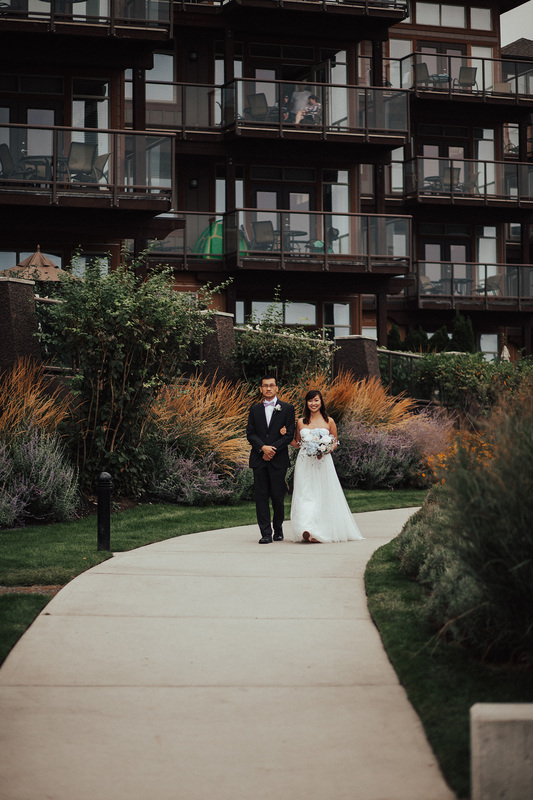 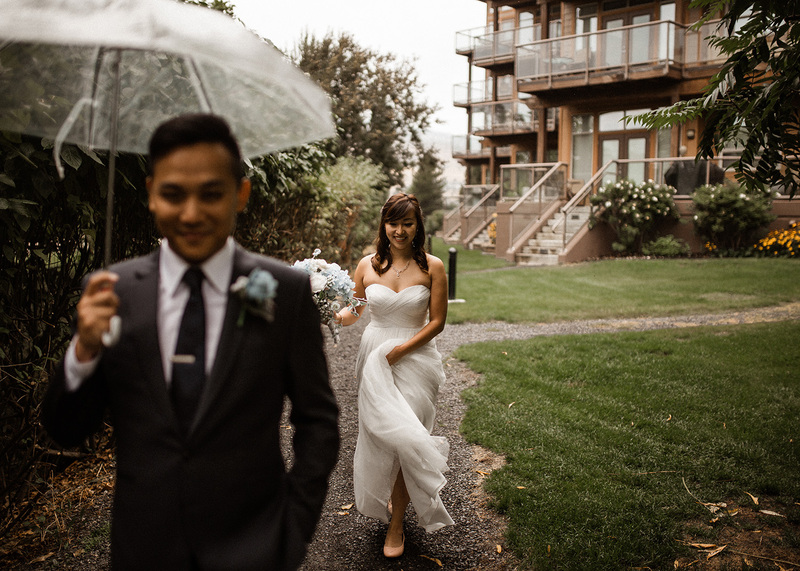 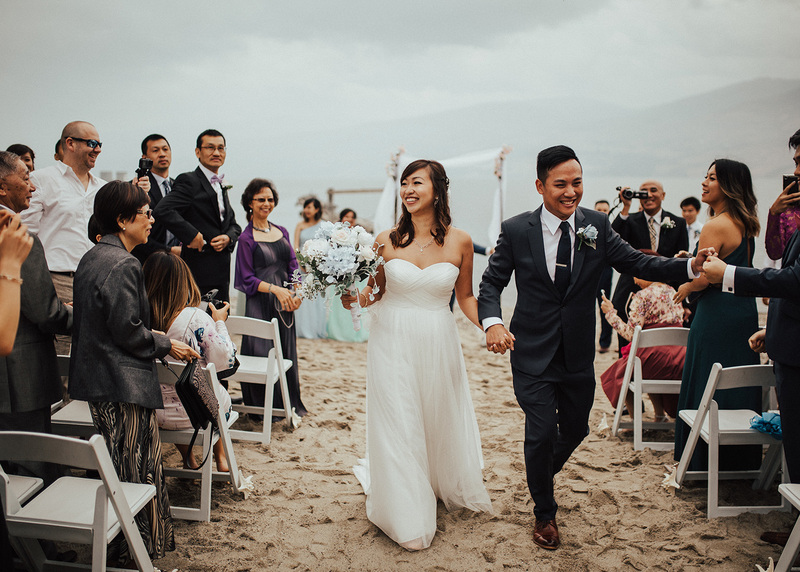 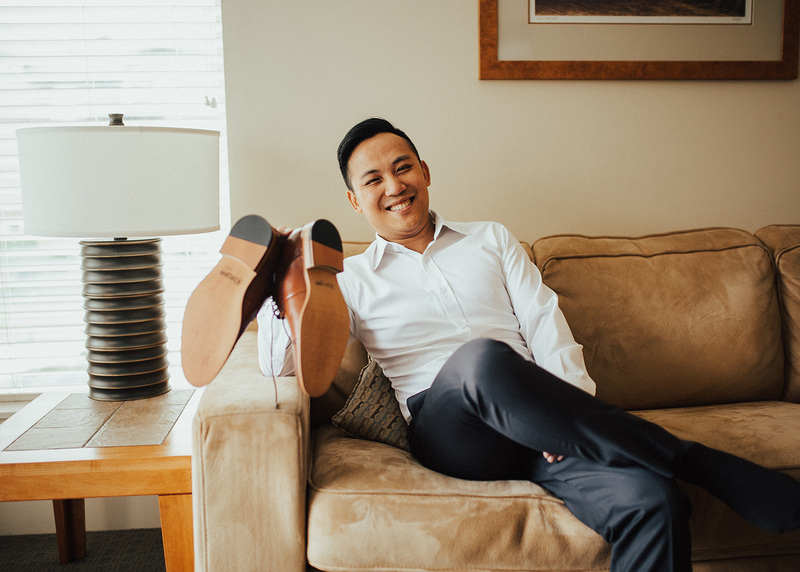 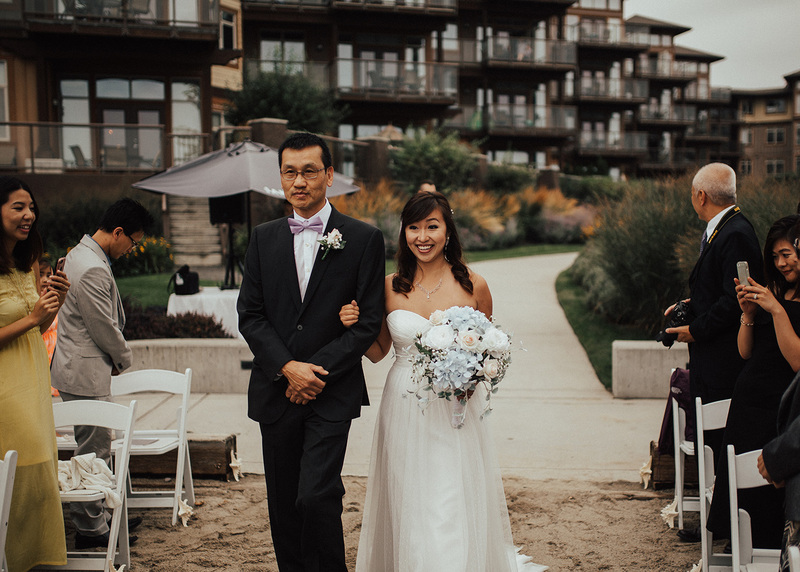 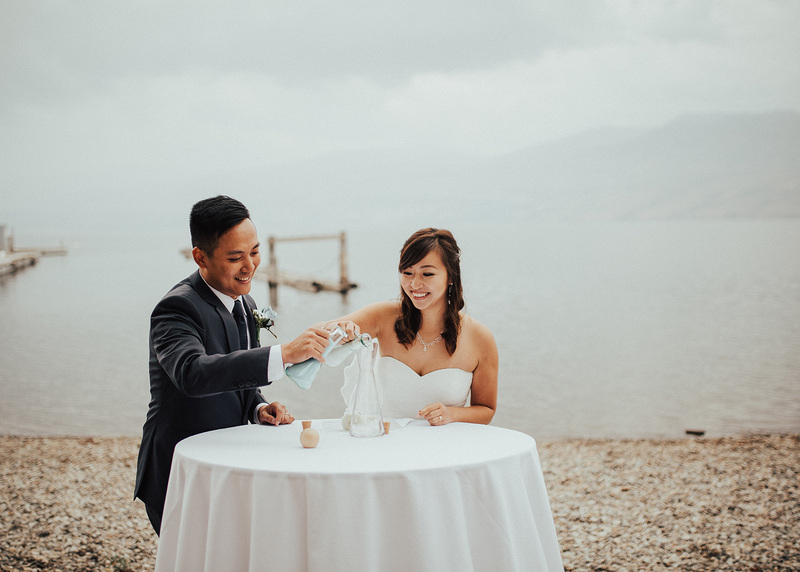 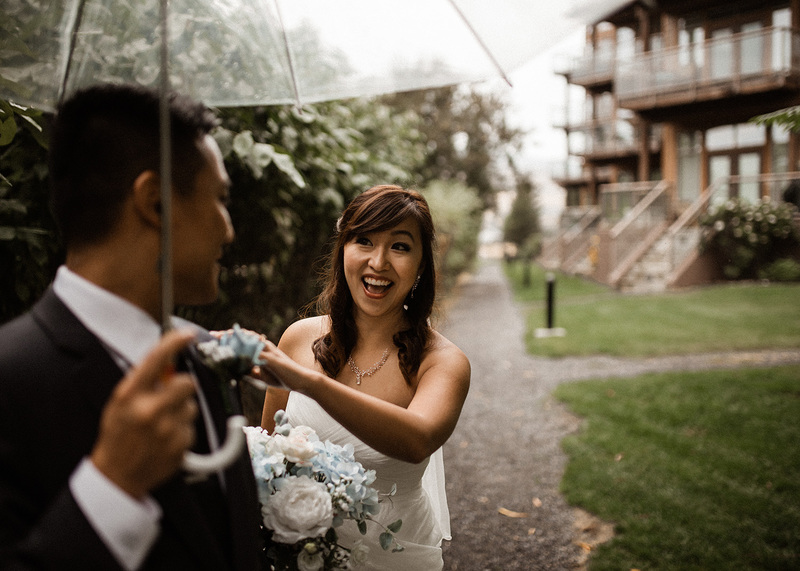 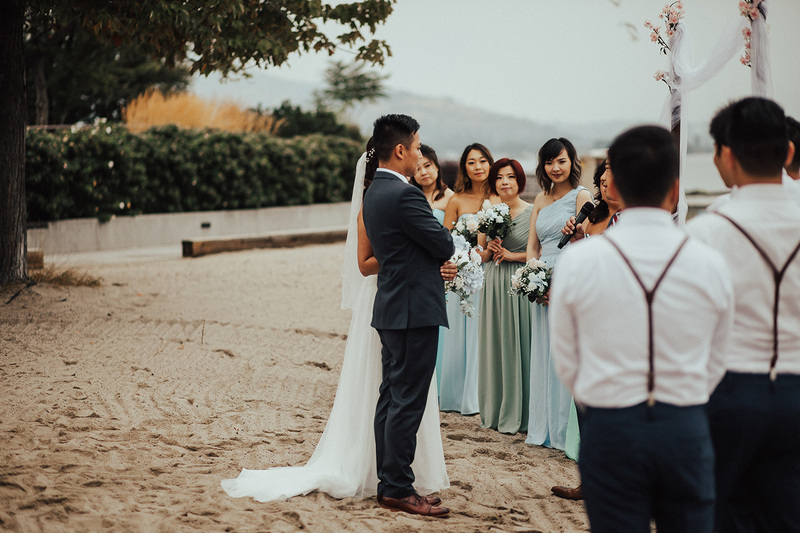 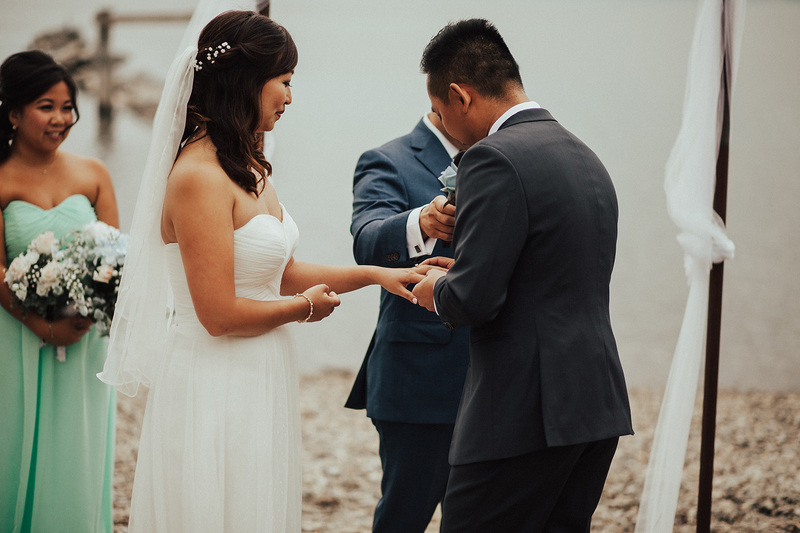 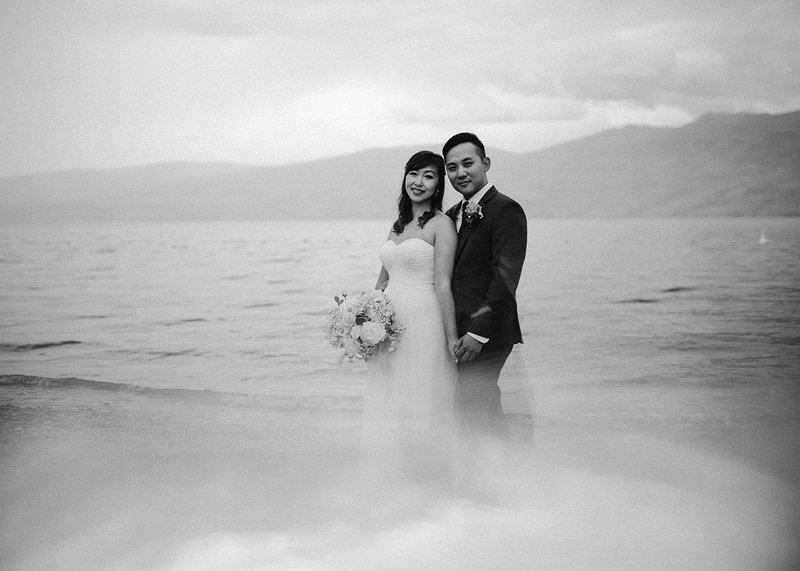 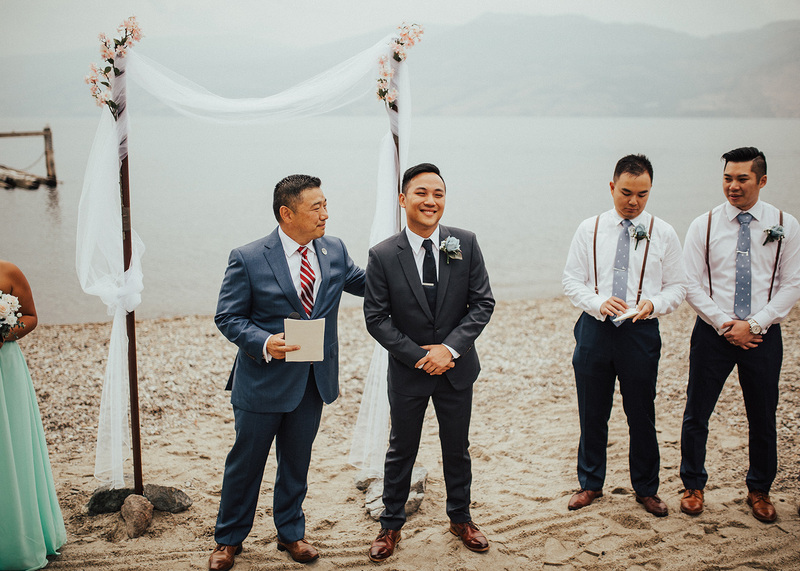 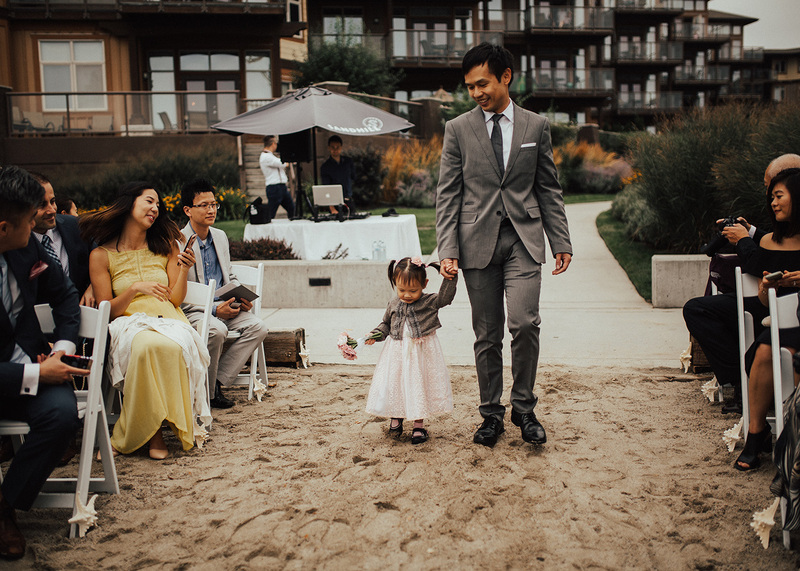 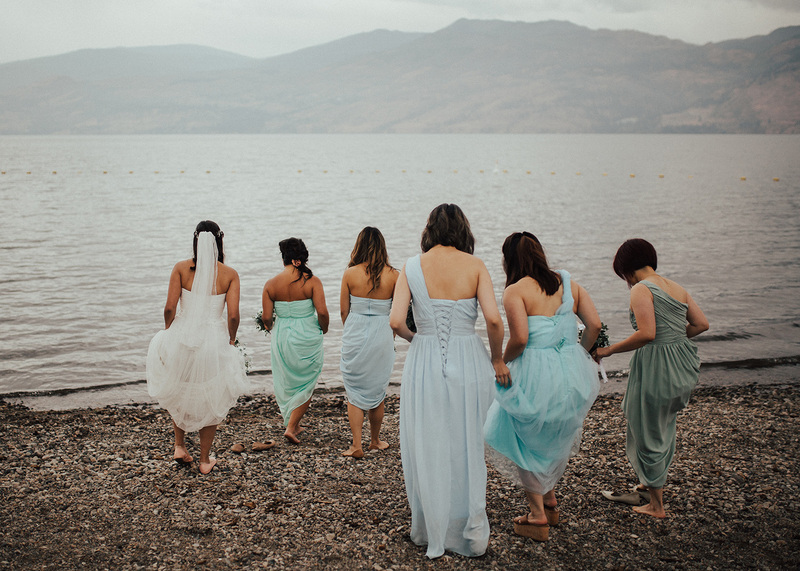 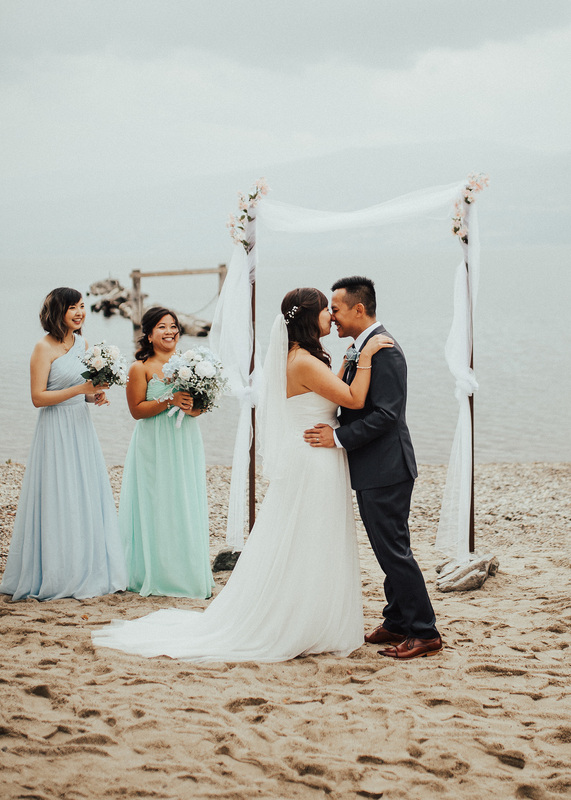 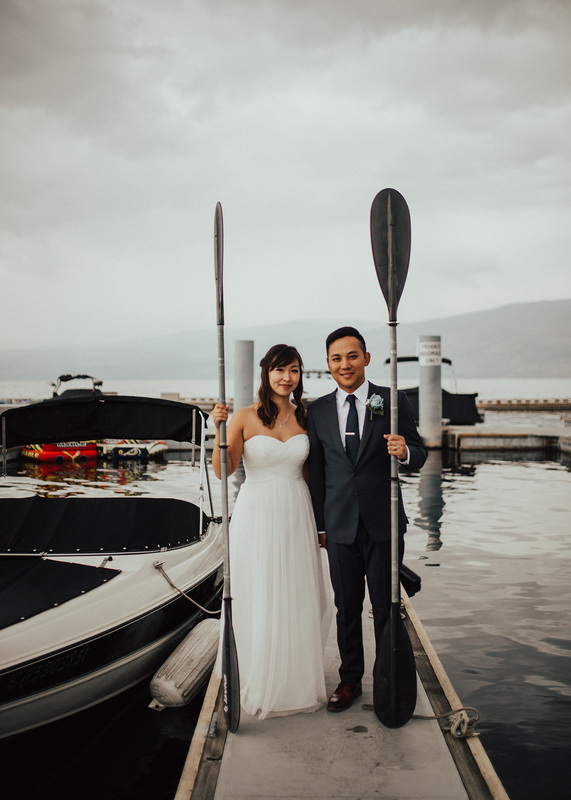 They travelled down from Calgary for their West Kelowna Wedding at The Cove in West Kelowna. 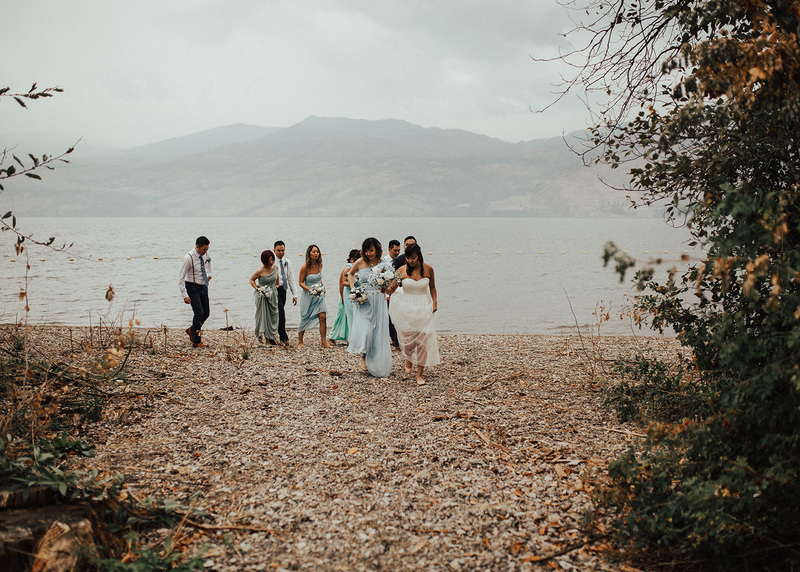 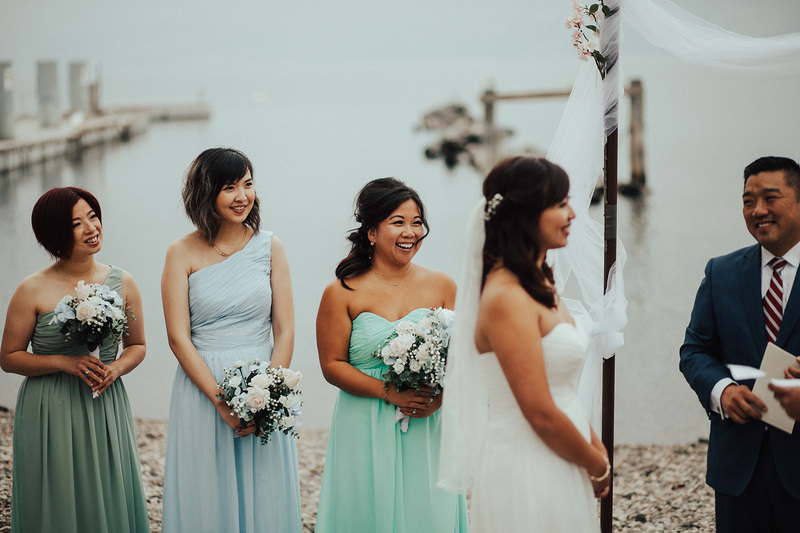 Angela’s brother got married the week before Billy + Angela in Kelowna, it was a whirl-wind week of emotions + so much love in the Okanagan! 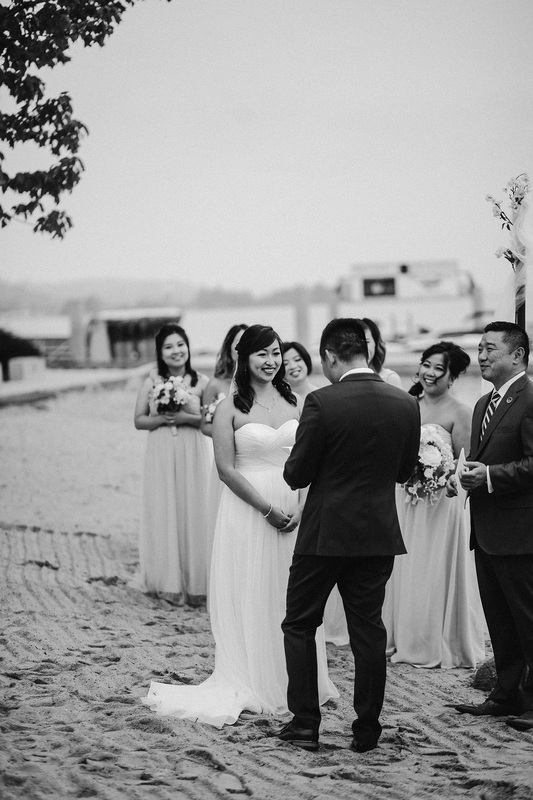 Angela planned their day so beautifully! 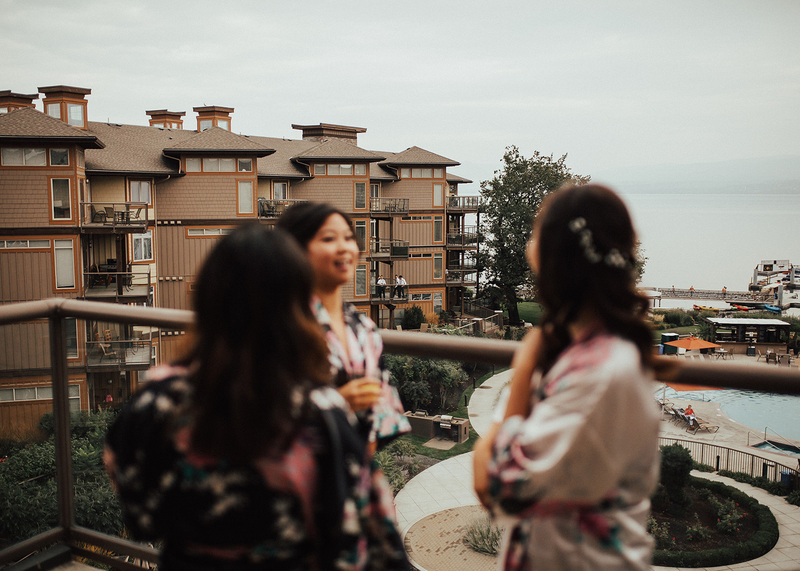 They started the morning hanging out in their hotel rooms at The Cove Lakeside Resort listening to relaxing music and anticipating the day. 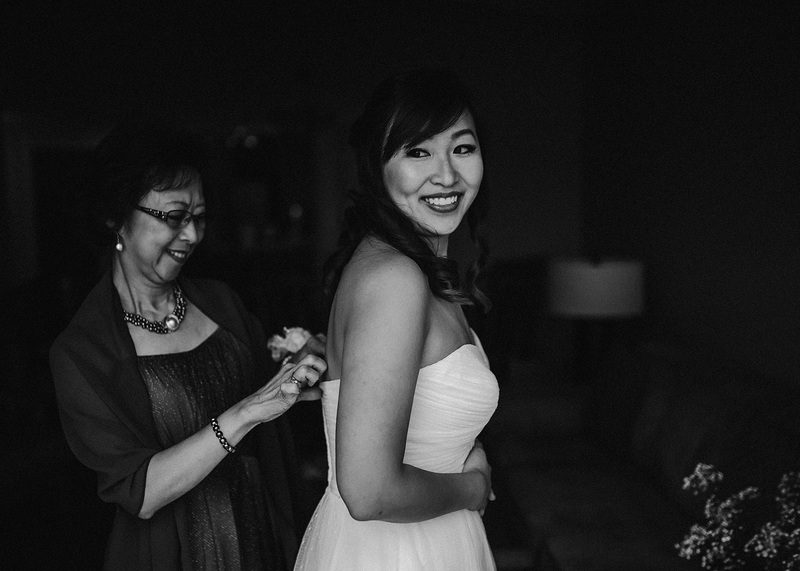 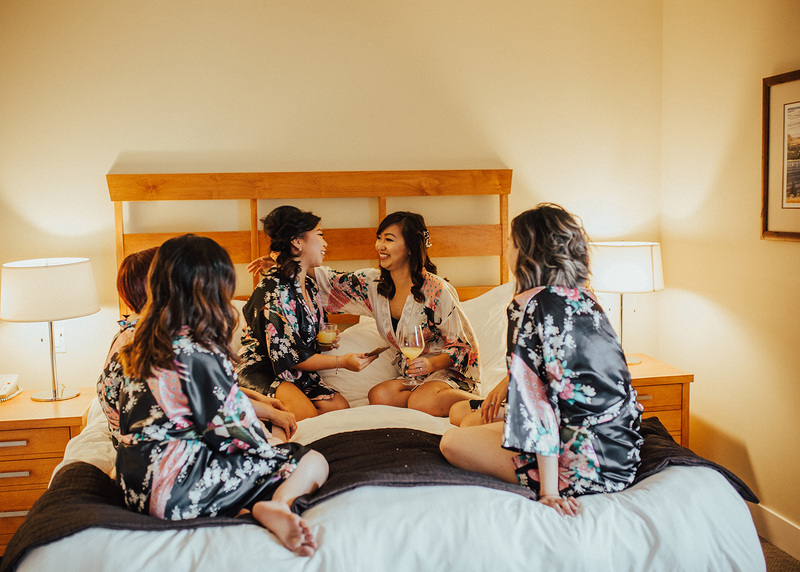 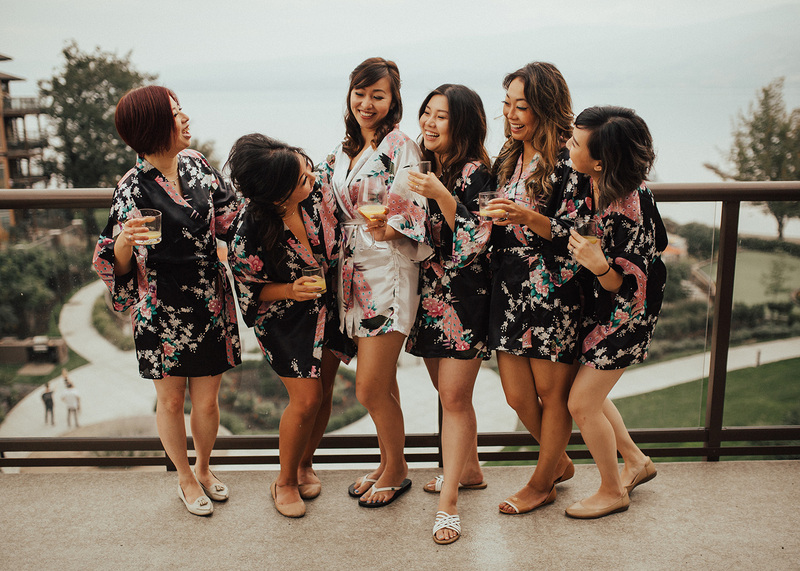 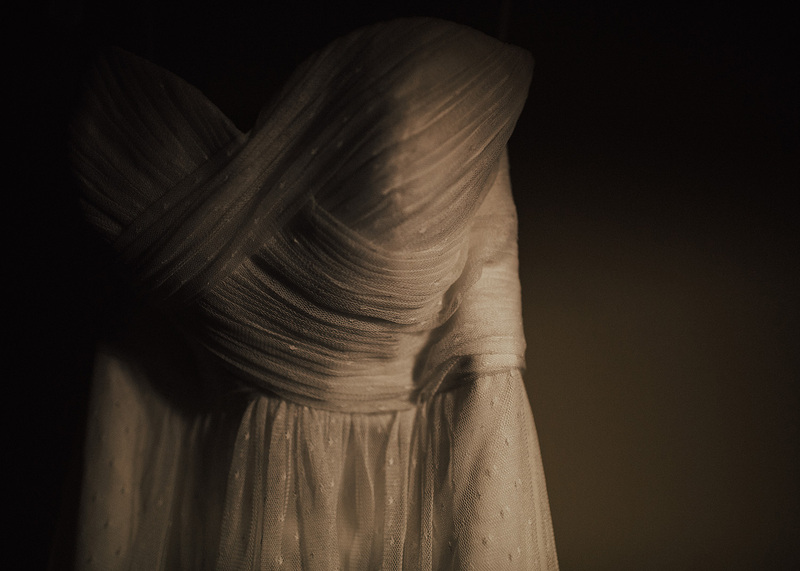 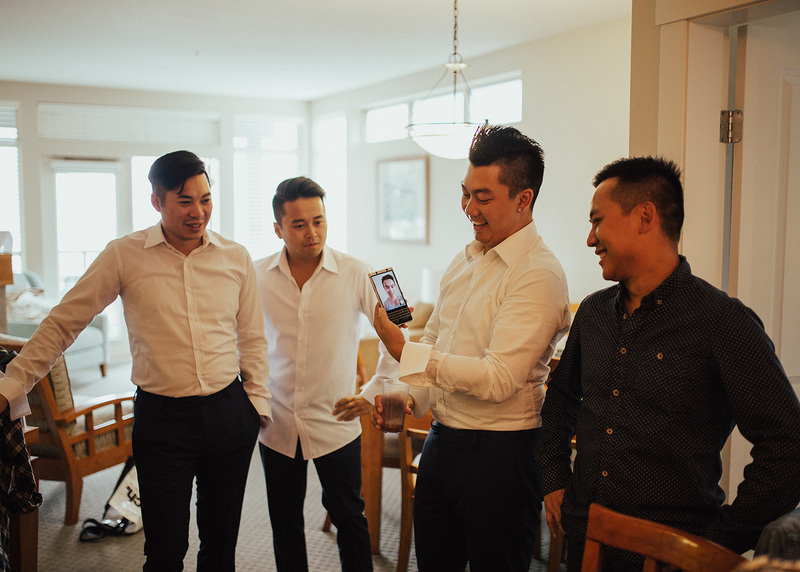 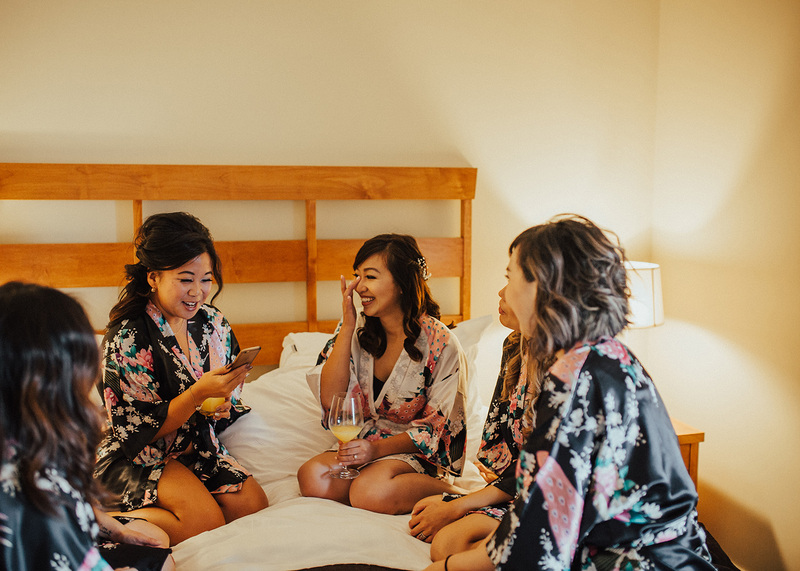 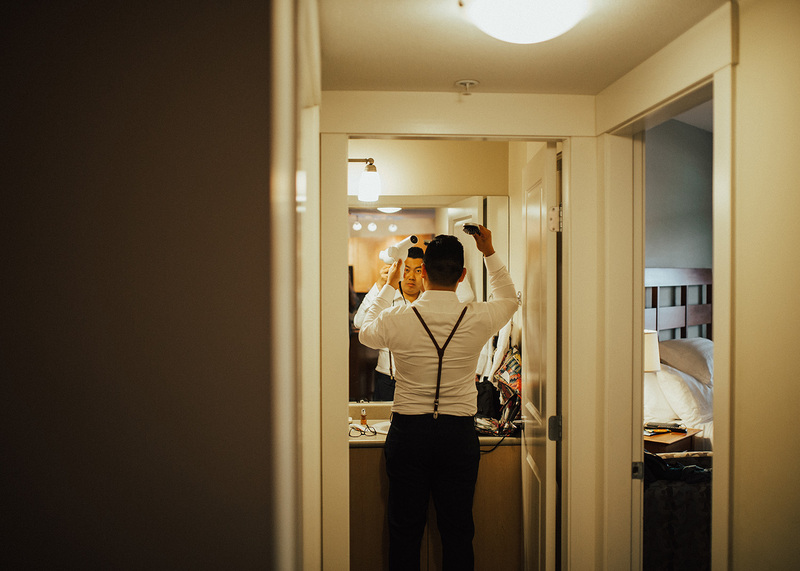 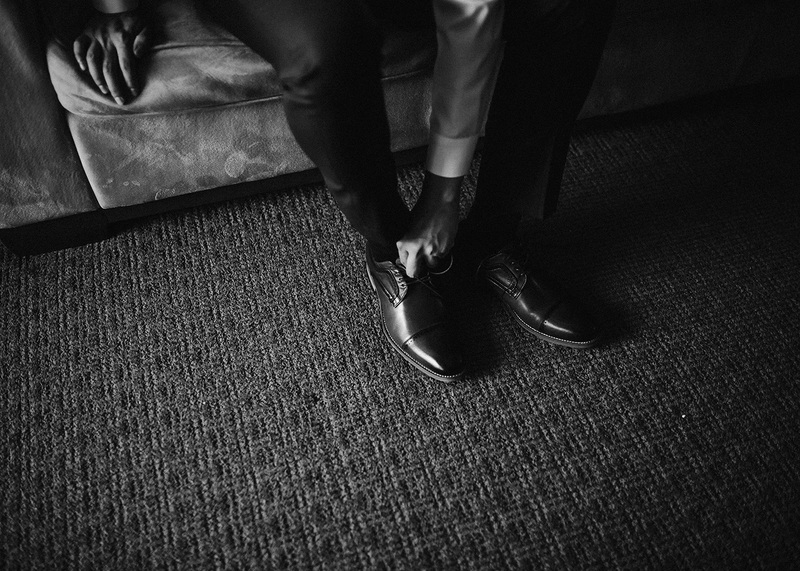 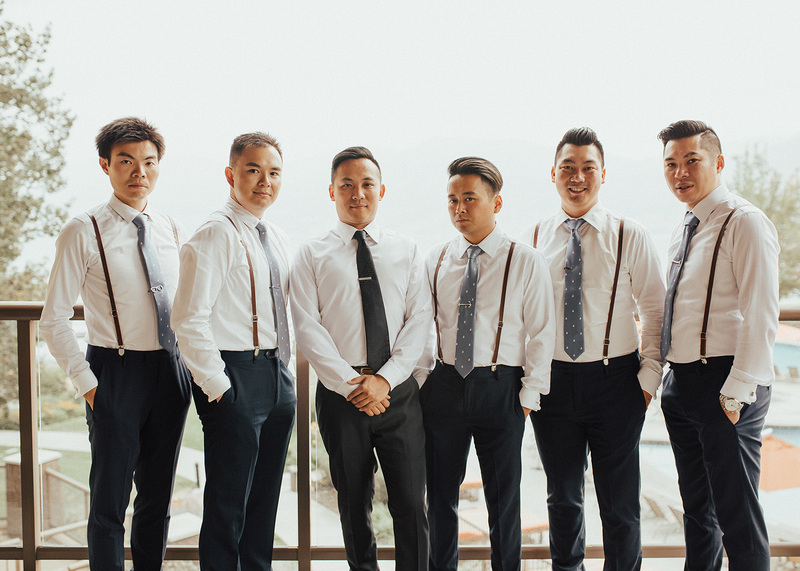 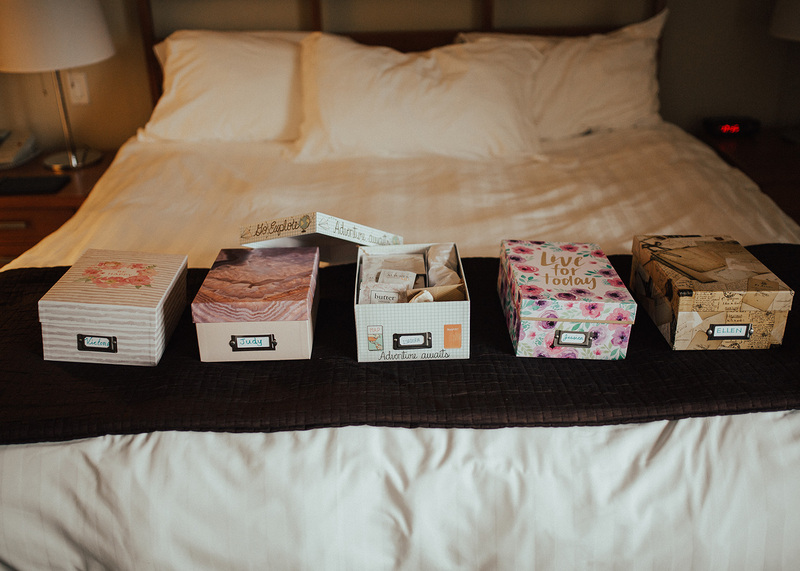 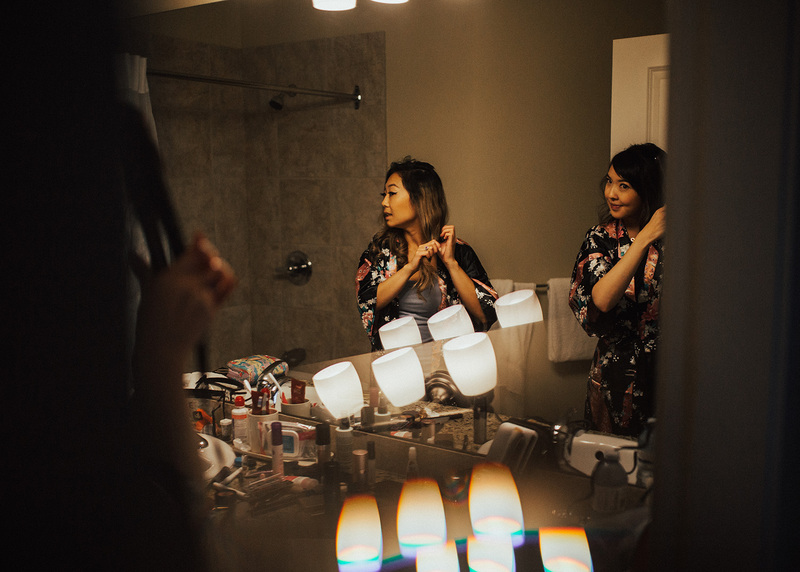 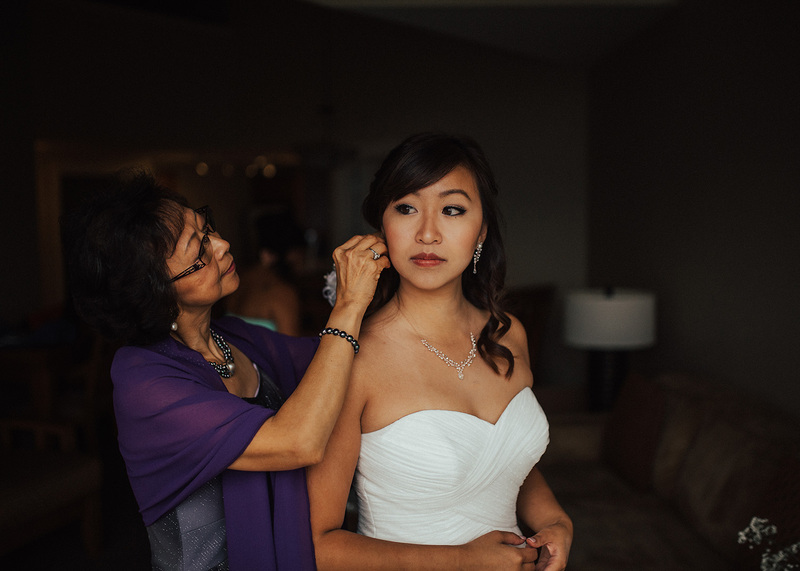 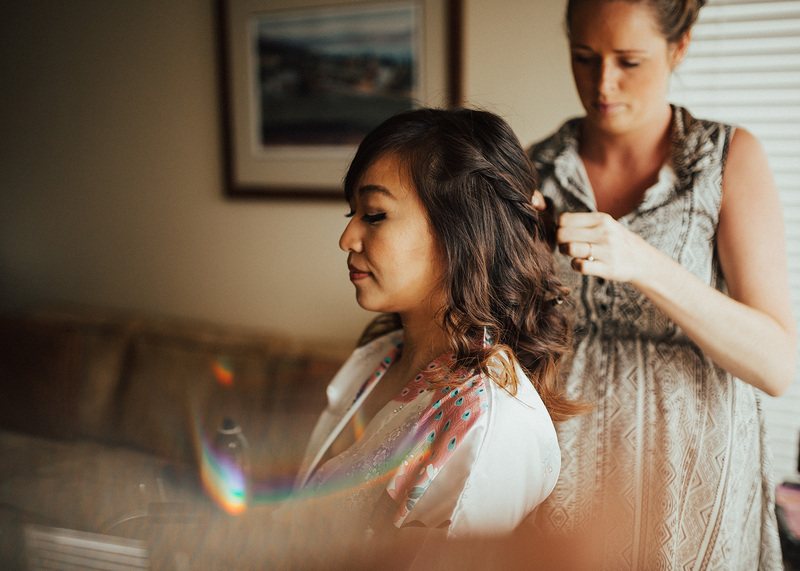 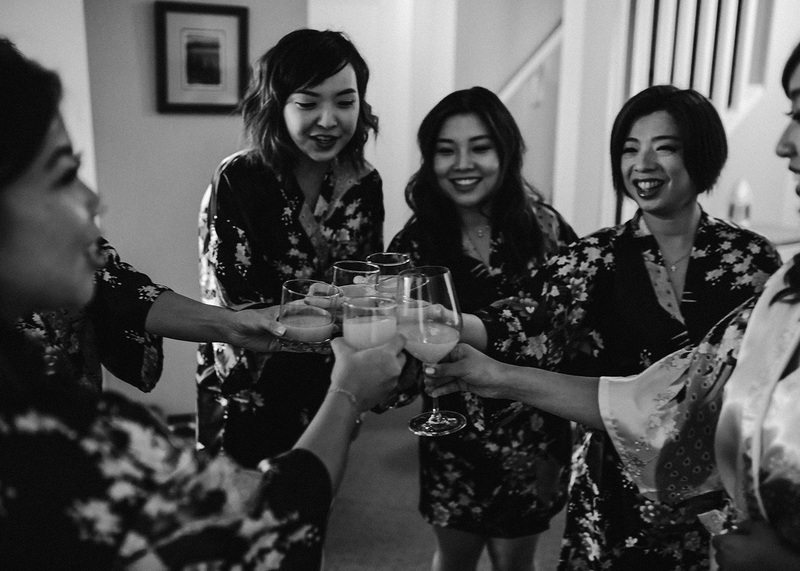 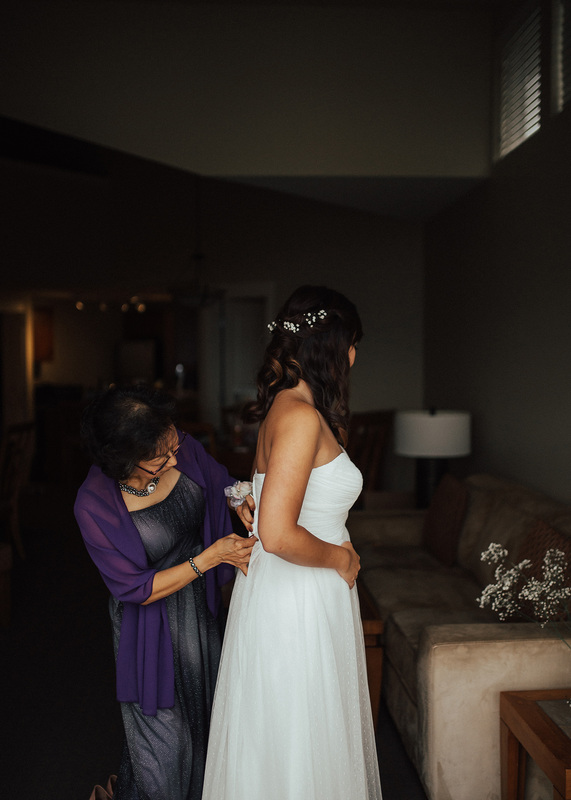 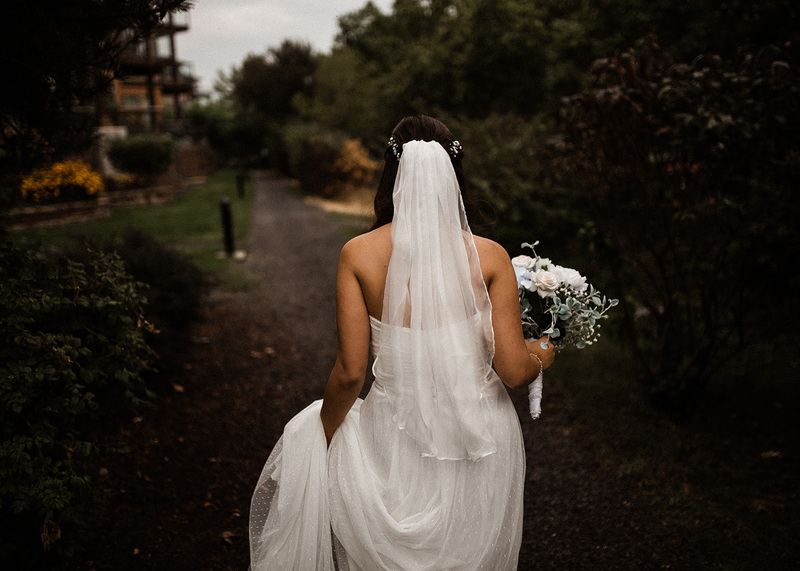 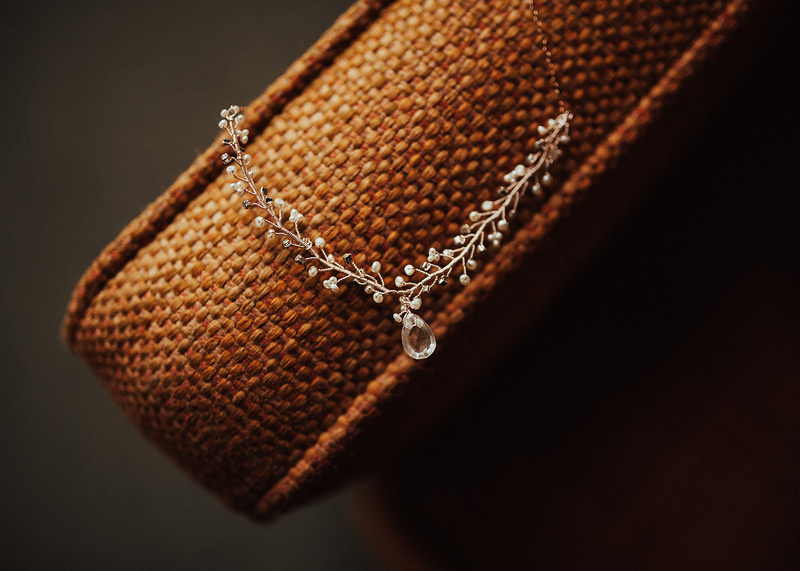 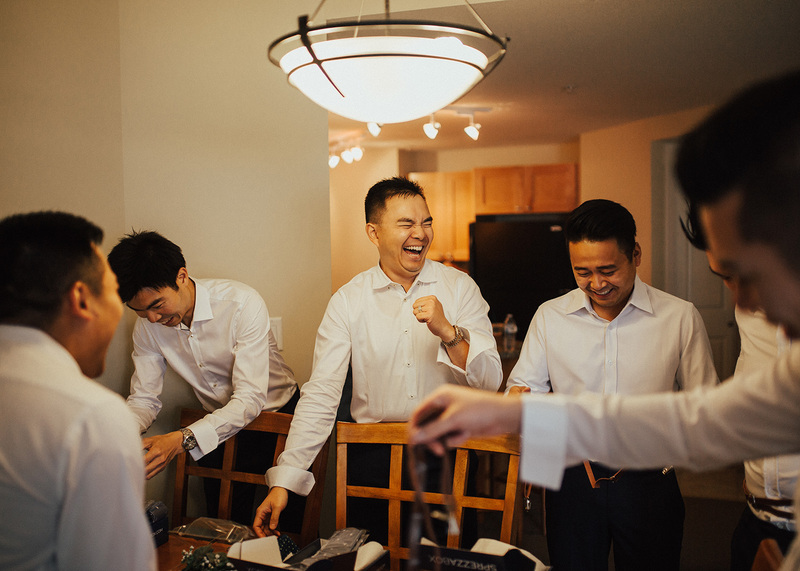 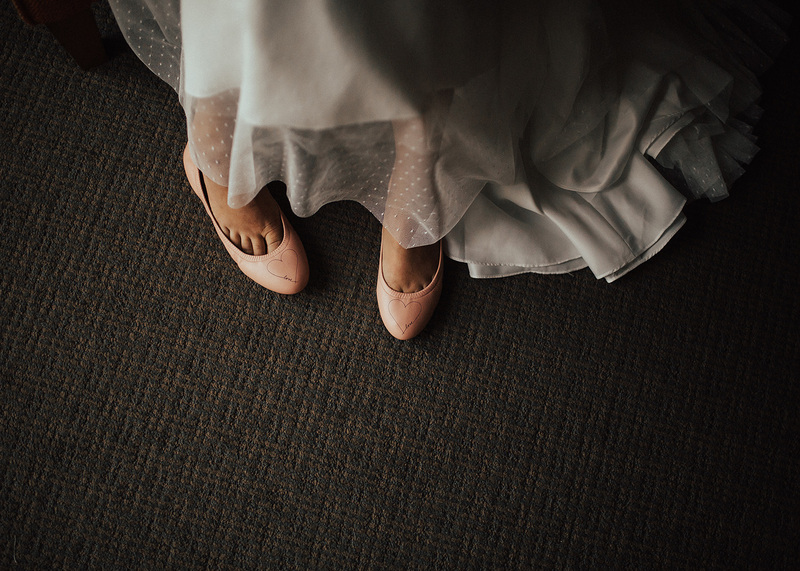 Their bridal party met them in their rooms and they began getting ready. 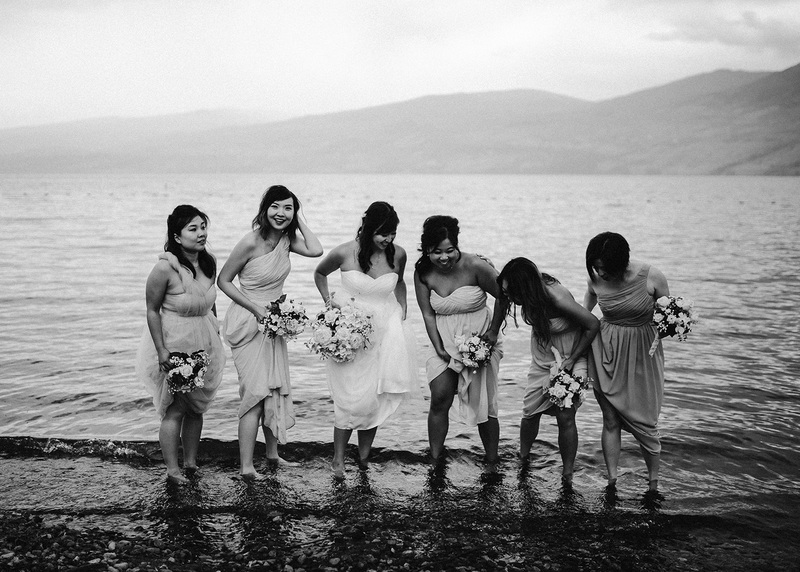 Once the girls were all together Angela’s maid of honour read her a letter her father had written for Angela. 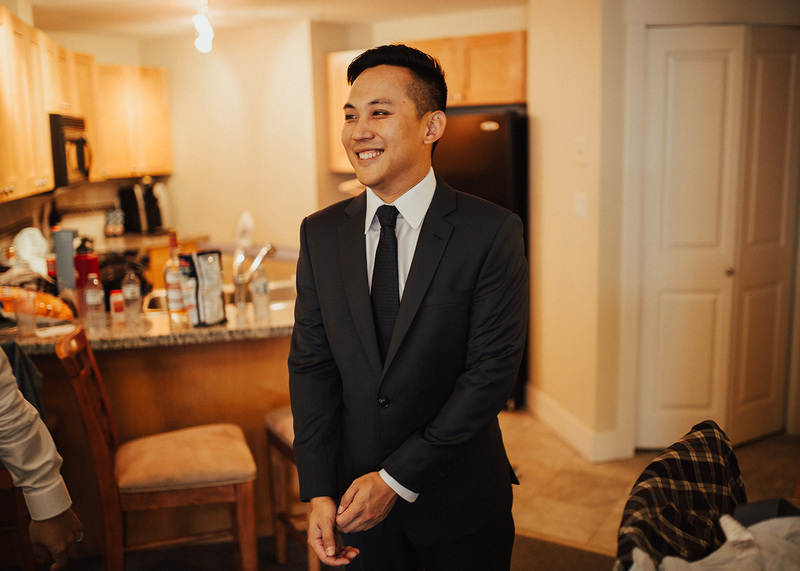 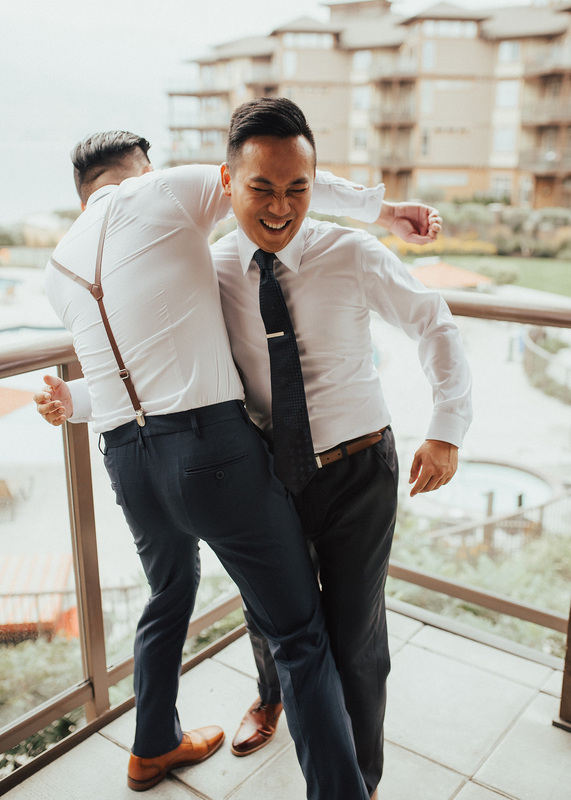 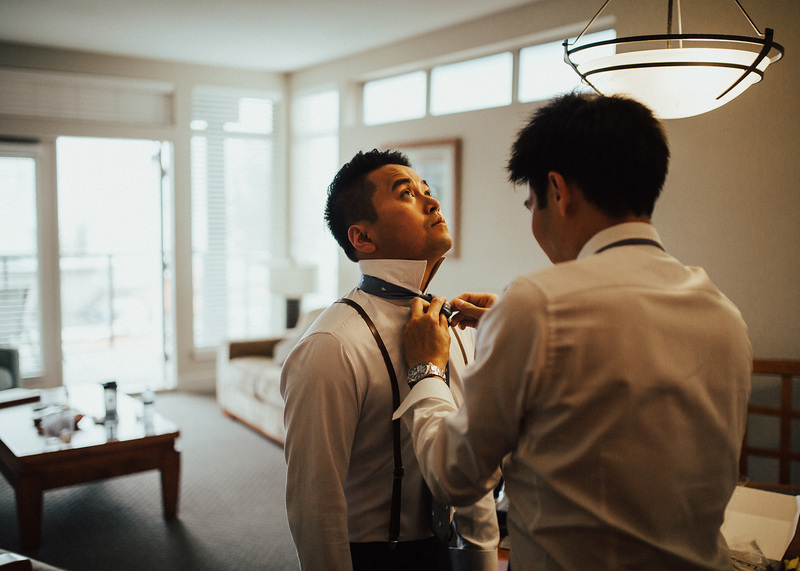 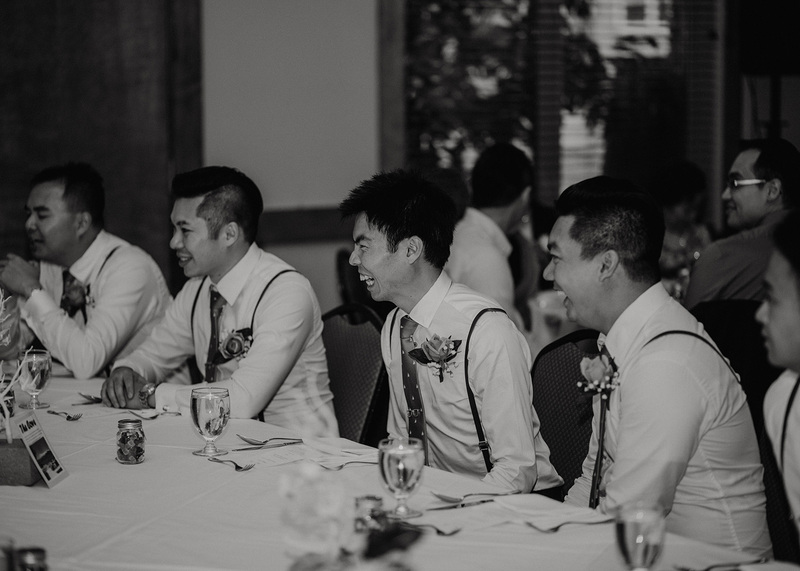 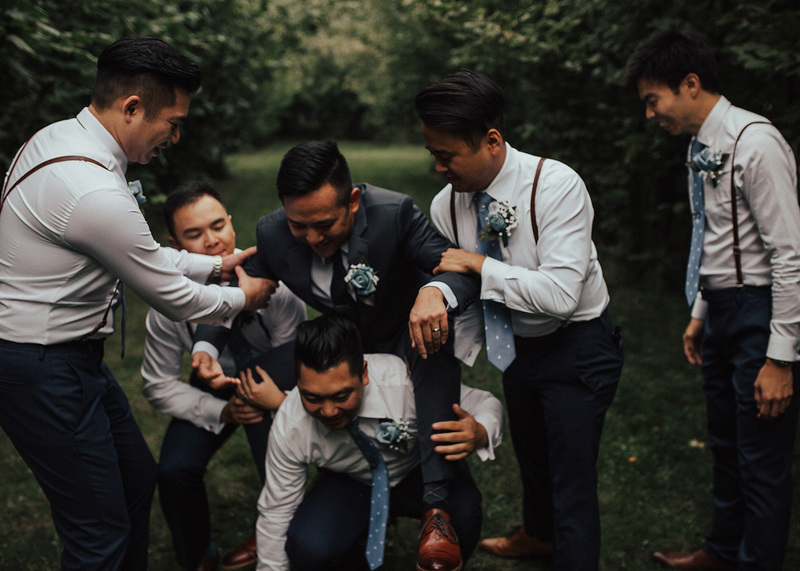 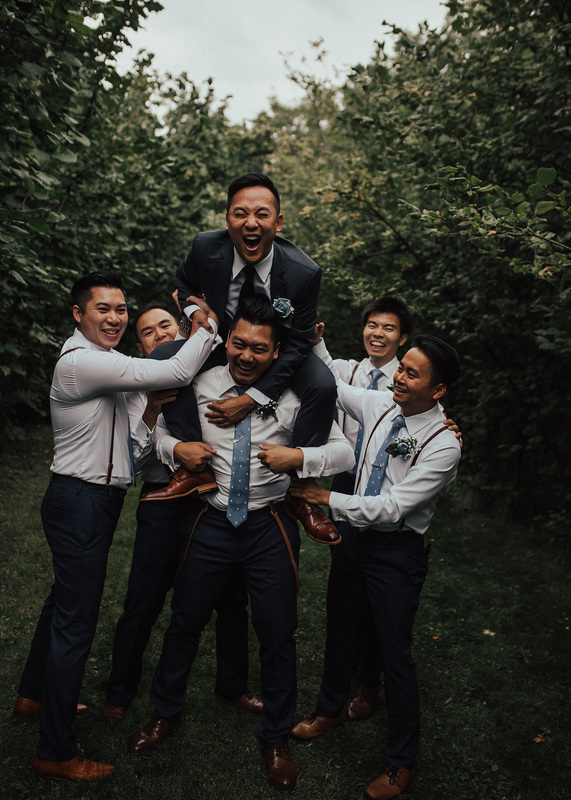 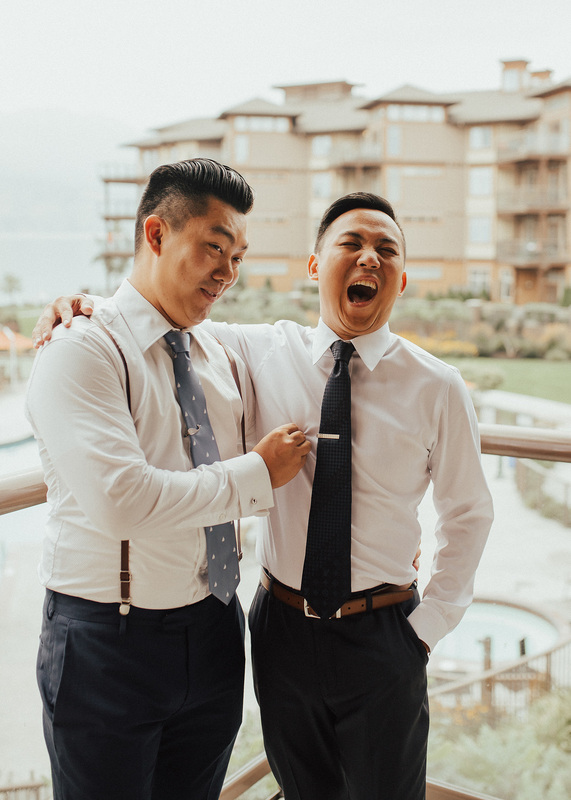 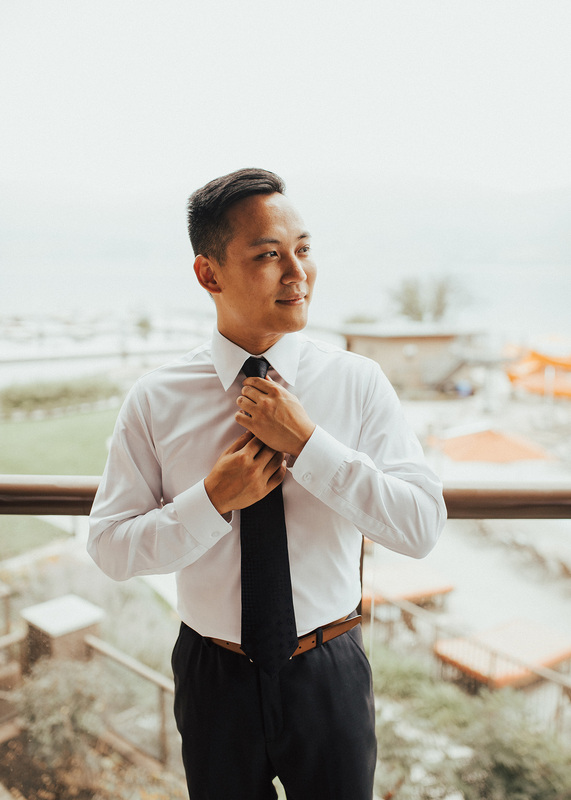 While Billy gifted his grooms men unique tie clips to each groomsmen. 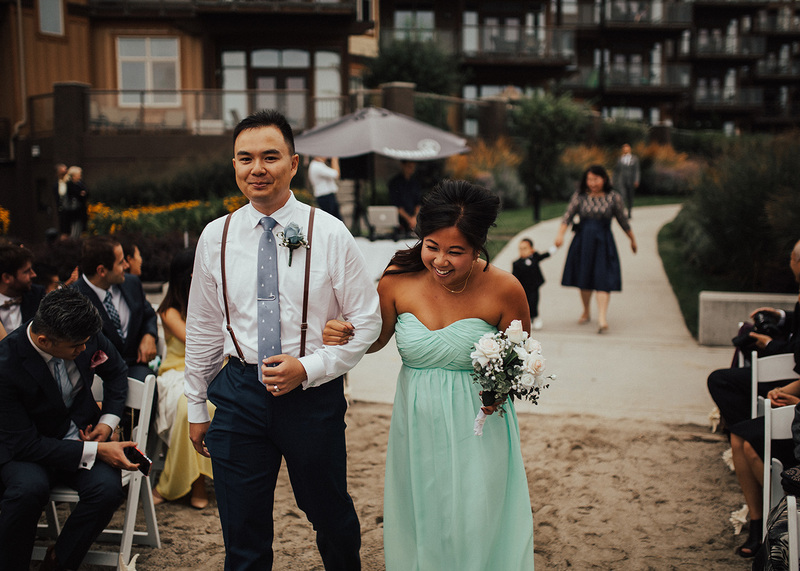 Once everyone was ready the bridal party went down to the lobby while Billy + Angela headed to a path out back to exchange their first look (this was mega adorable!!!). 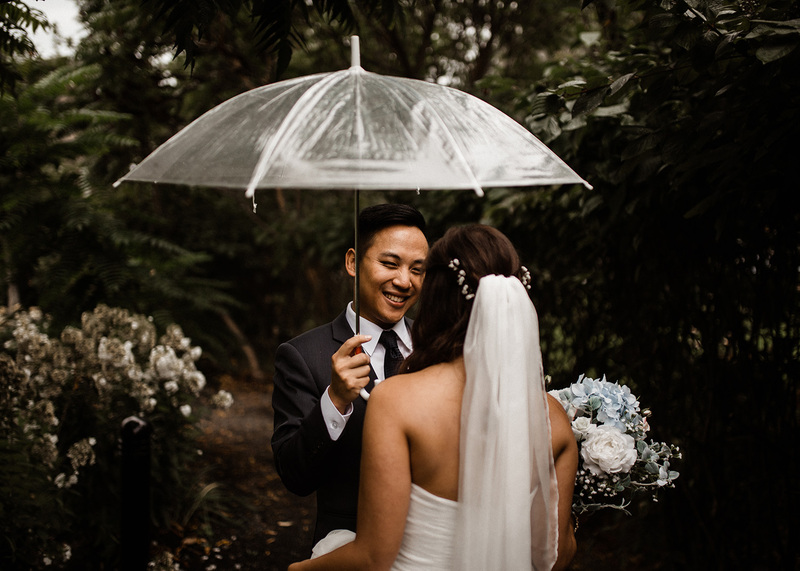 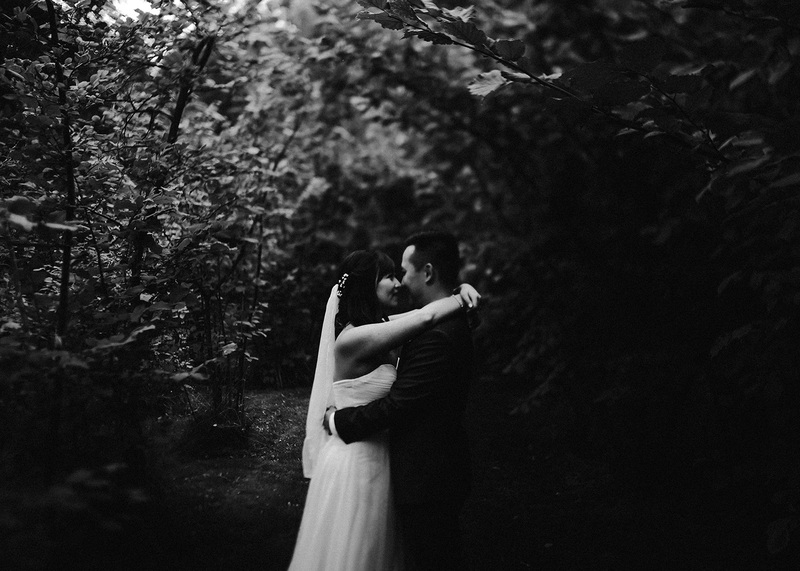 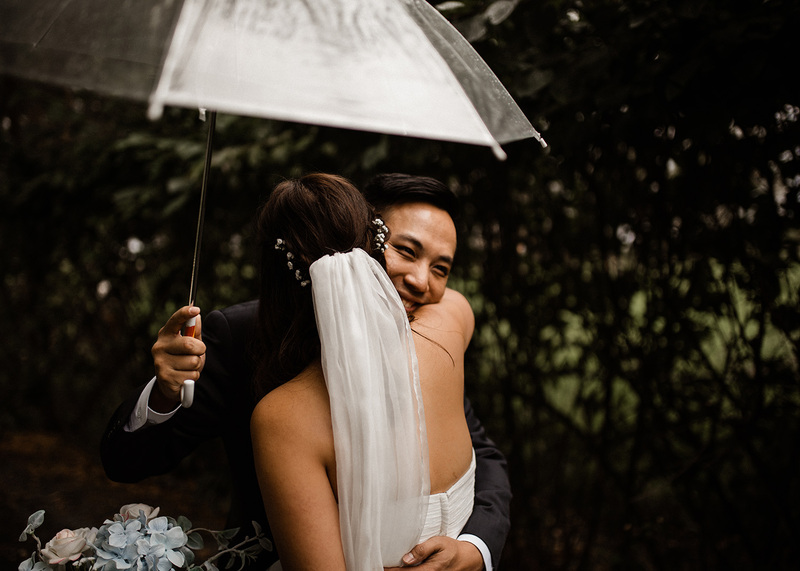 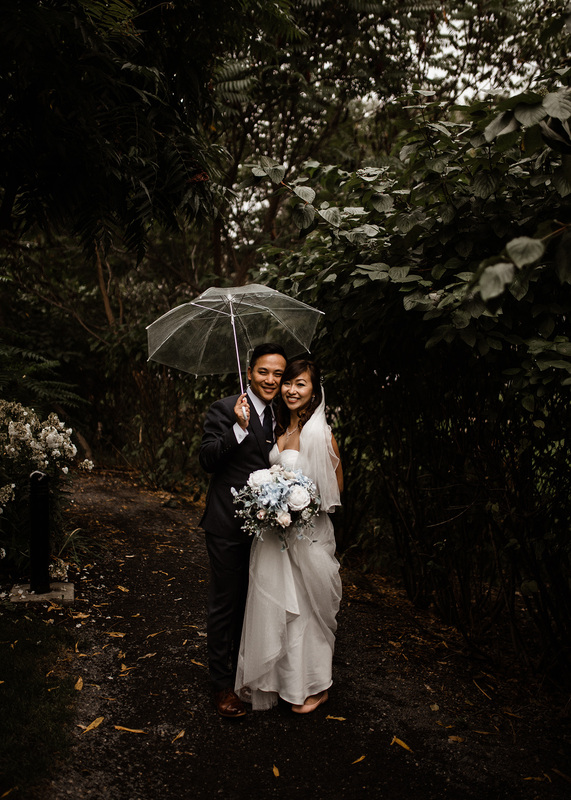 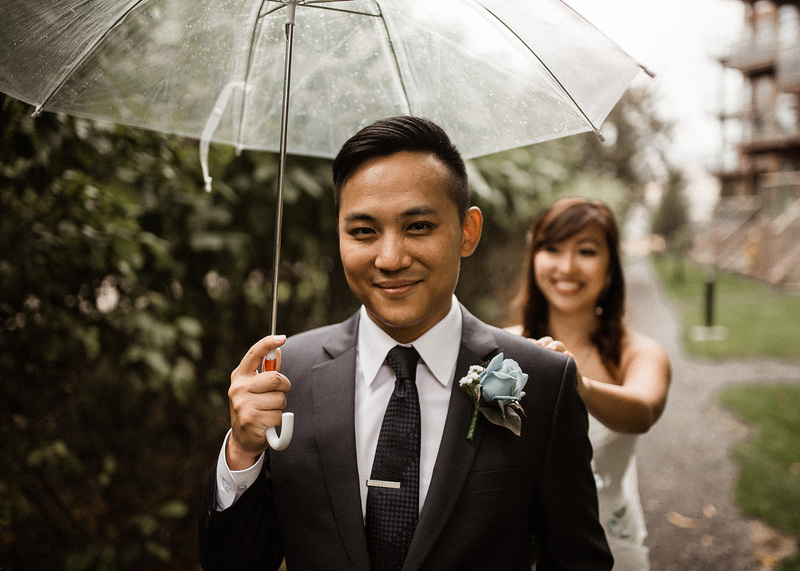 The rain started to trickle as Angela got close to Billy but this didn’t stop the moment from being perfect. 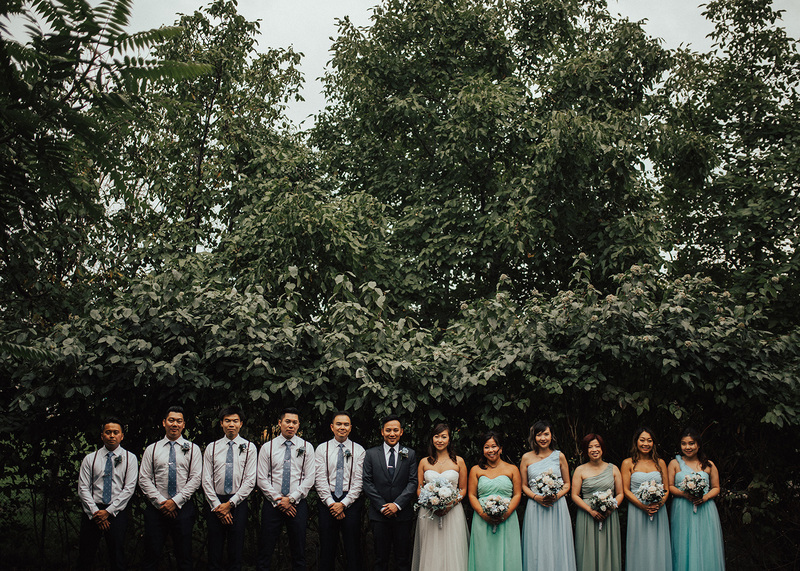 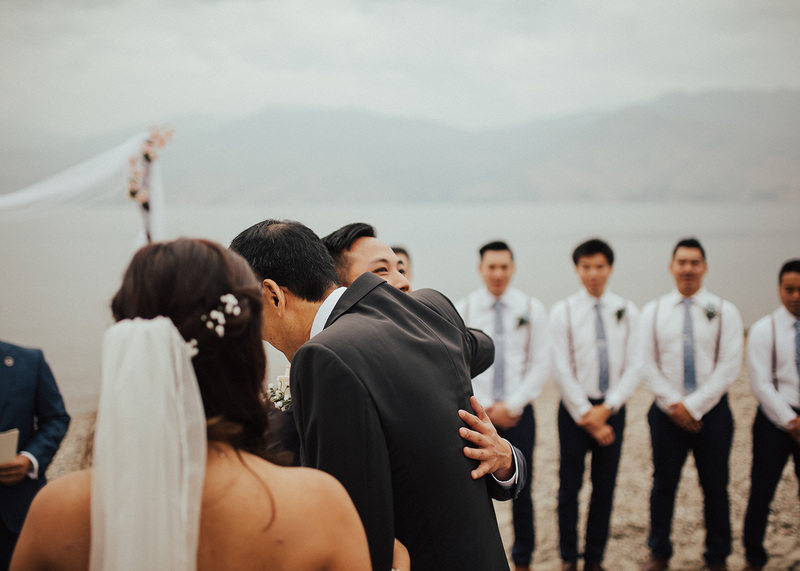 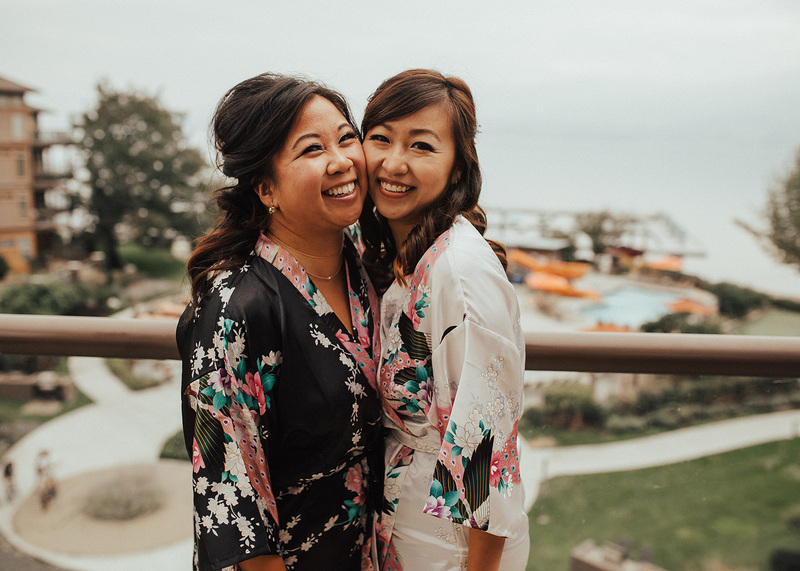 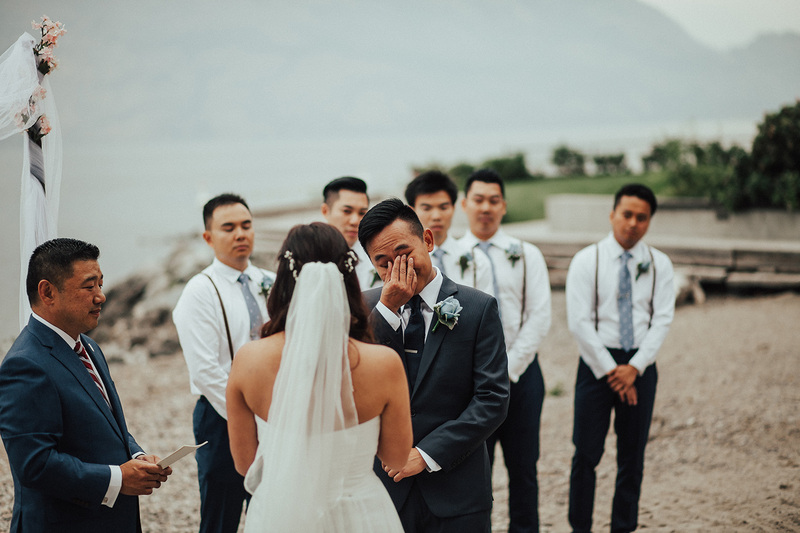 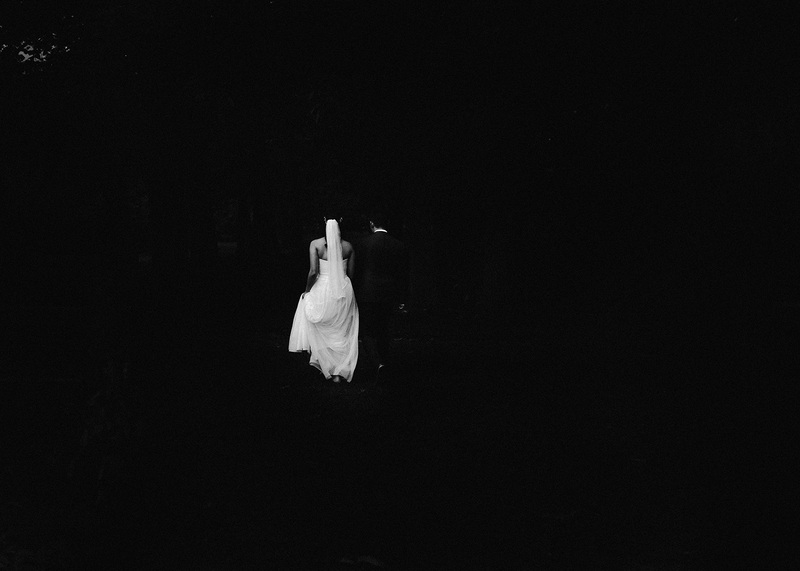 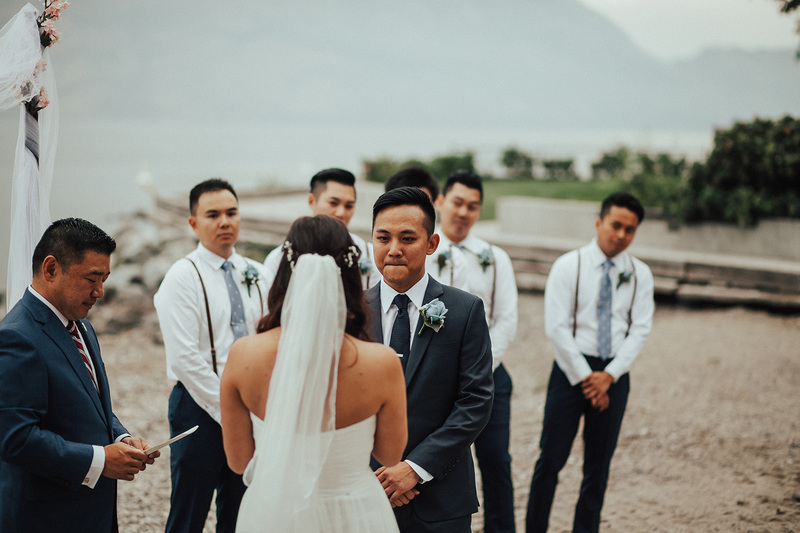 They basked in each others eyes for a couple moments before the bridal party met up with them. 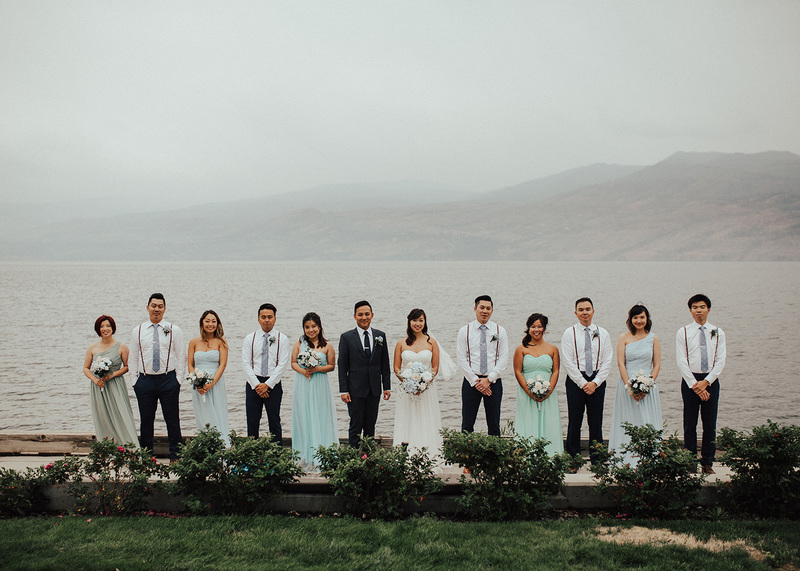 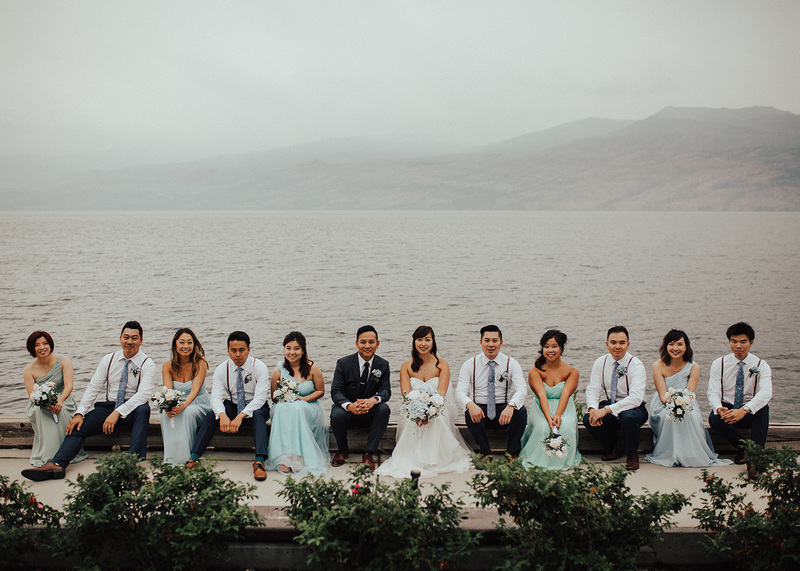 After they said their “I Do’s” lakeside came the family photos. 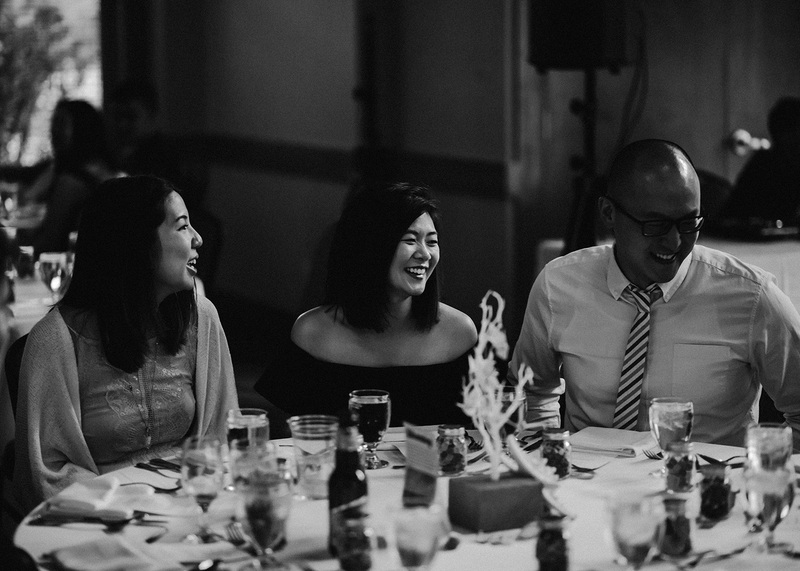 Everyone smiling and enjoying each others company. 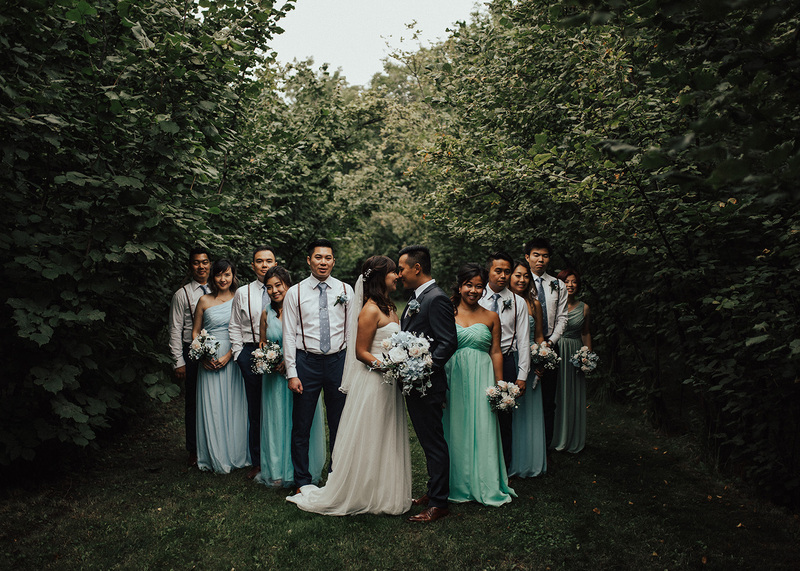 We then continued over to Gellatly Nut Farm for more bridals. 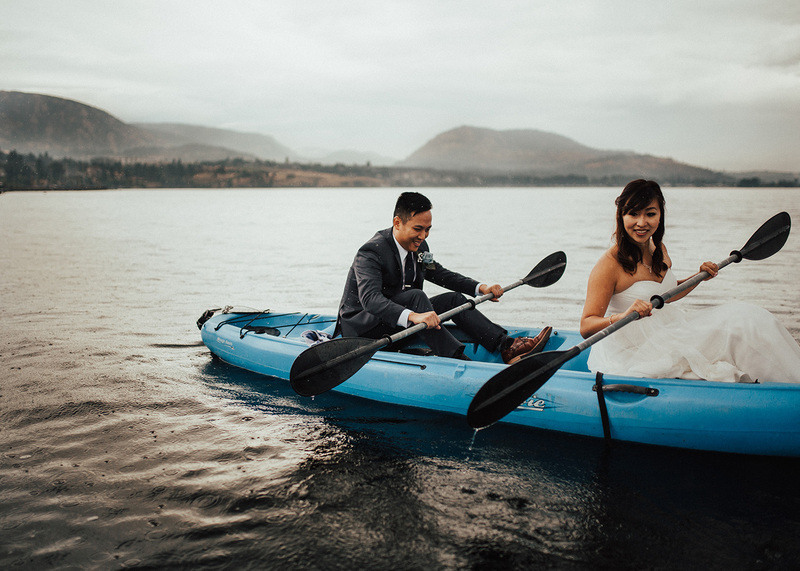 Once we wandered around for a while we took to the water! 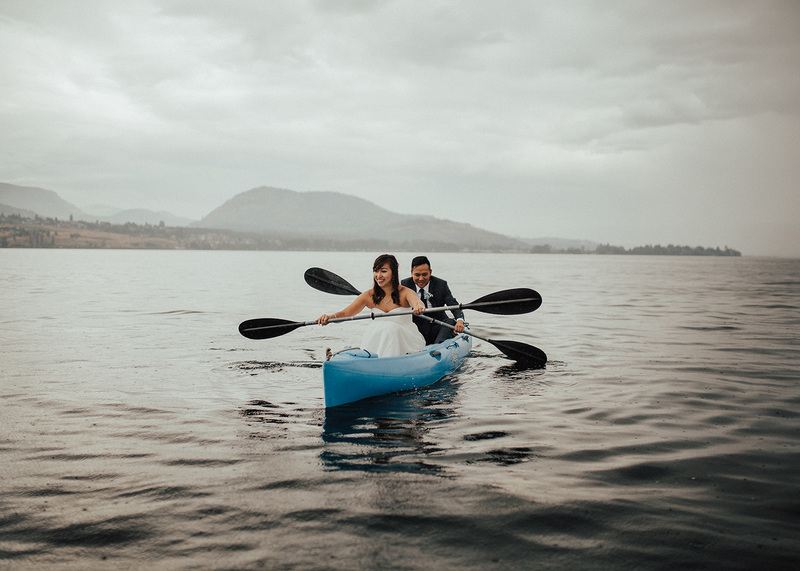 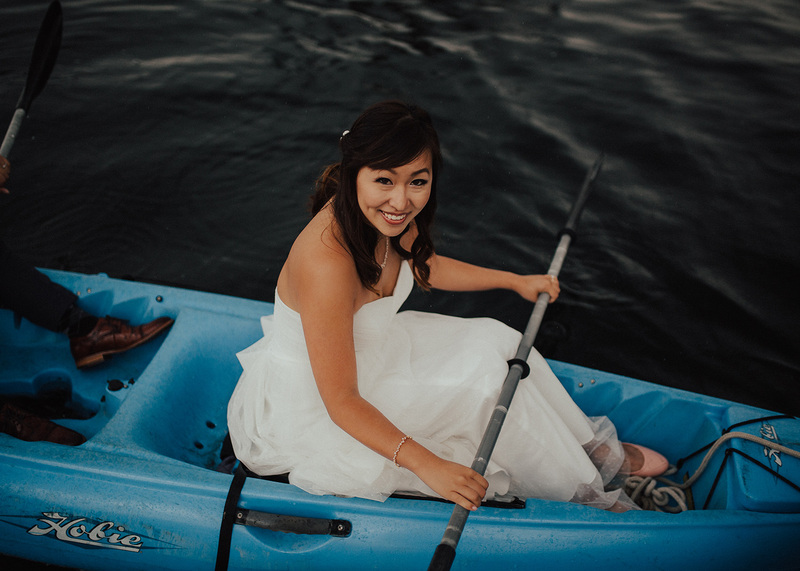 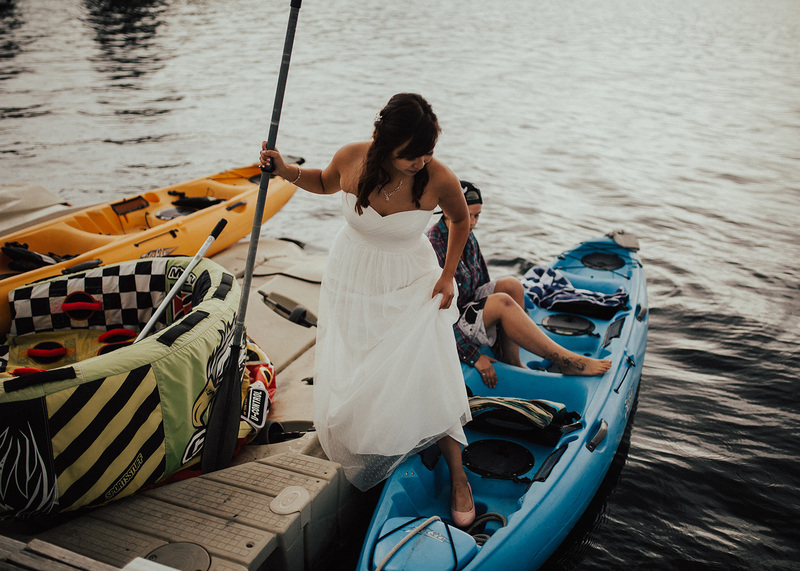 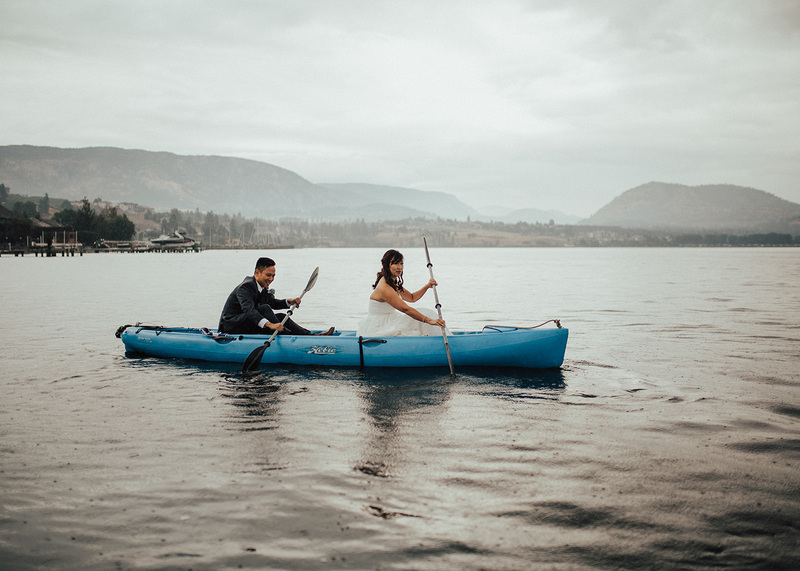 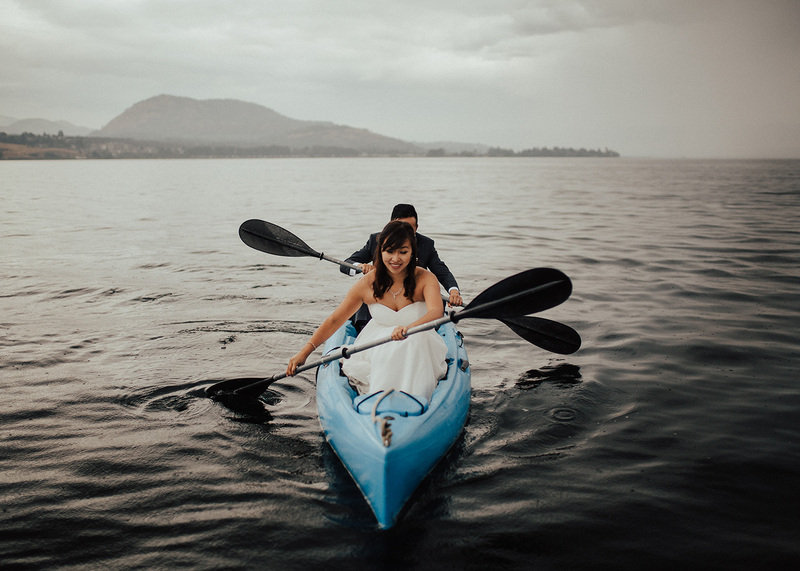 Angela + Billy braved the lake in their wedding attire – they went for a kayak! 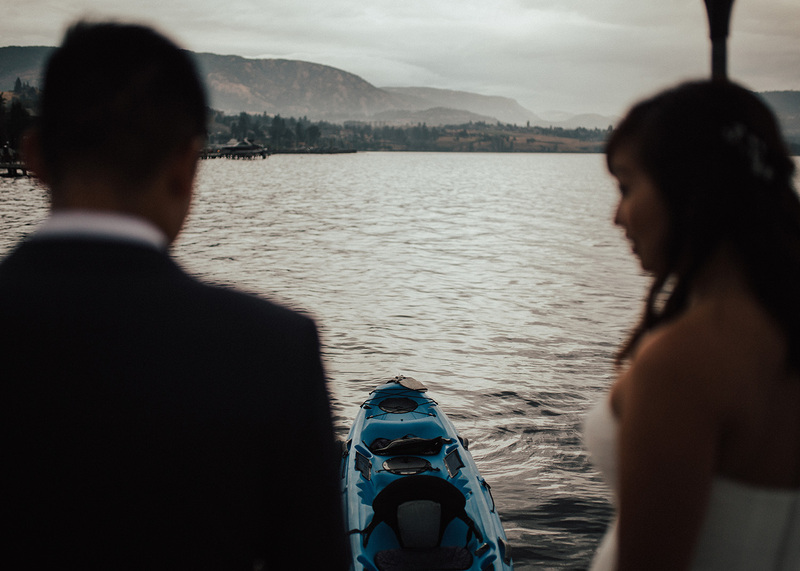 It was pretty rad. 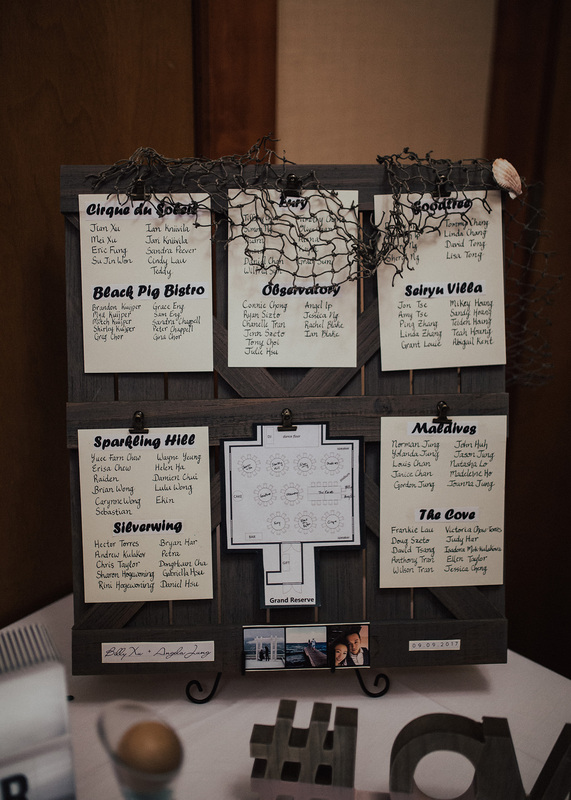 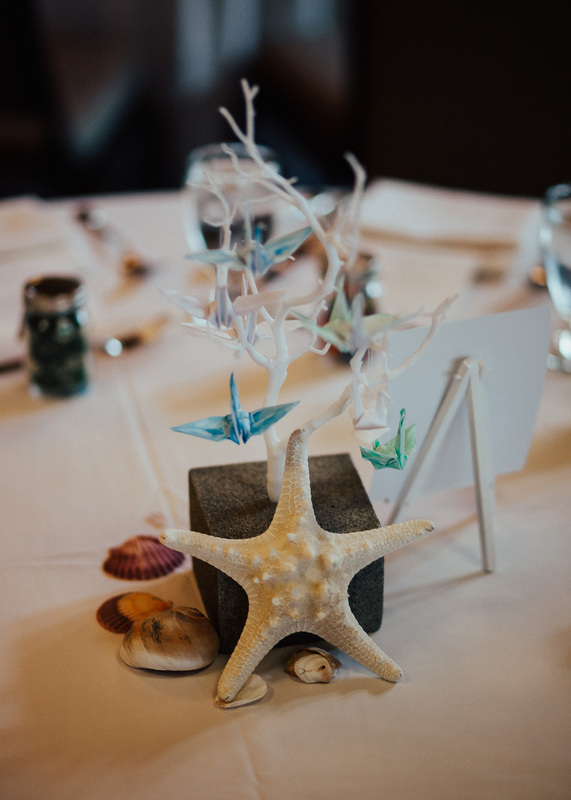 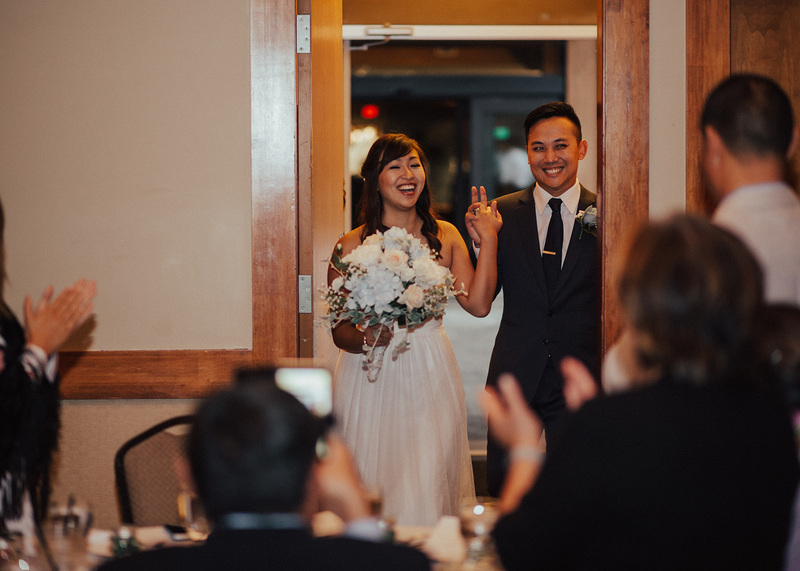 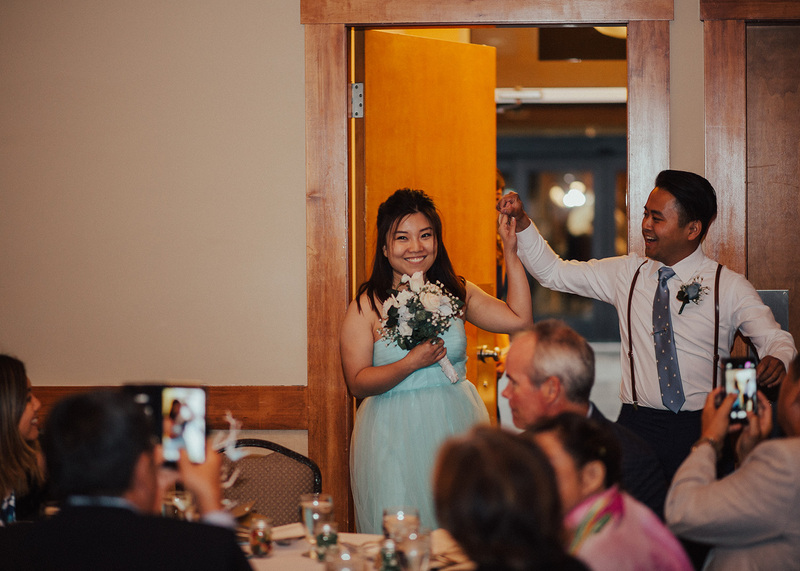 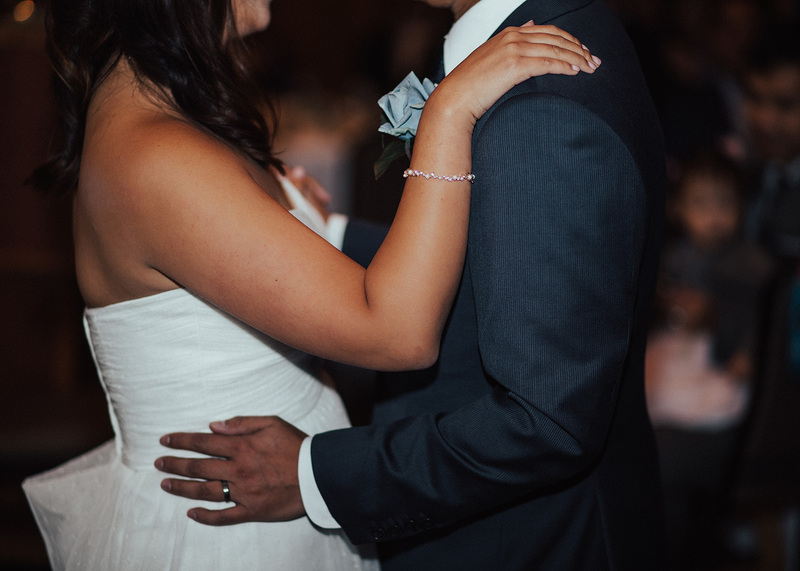 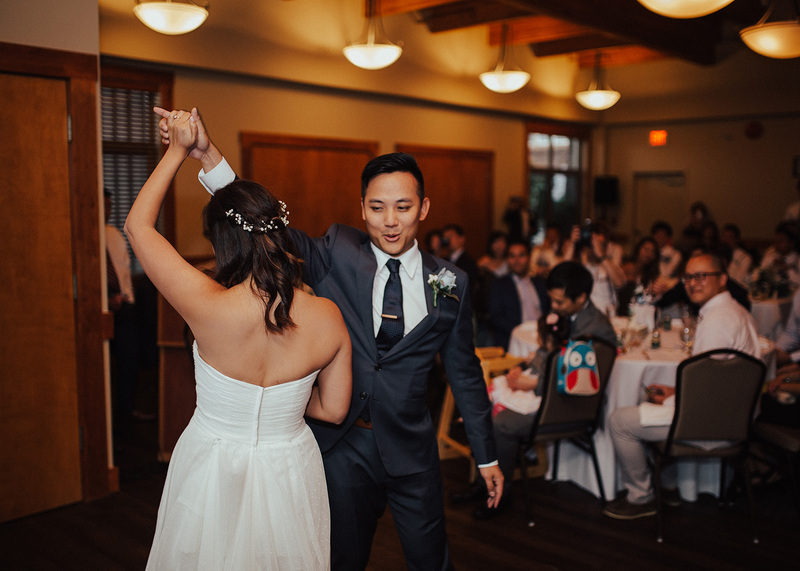 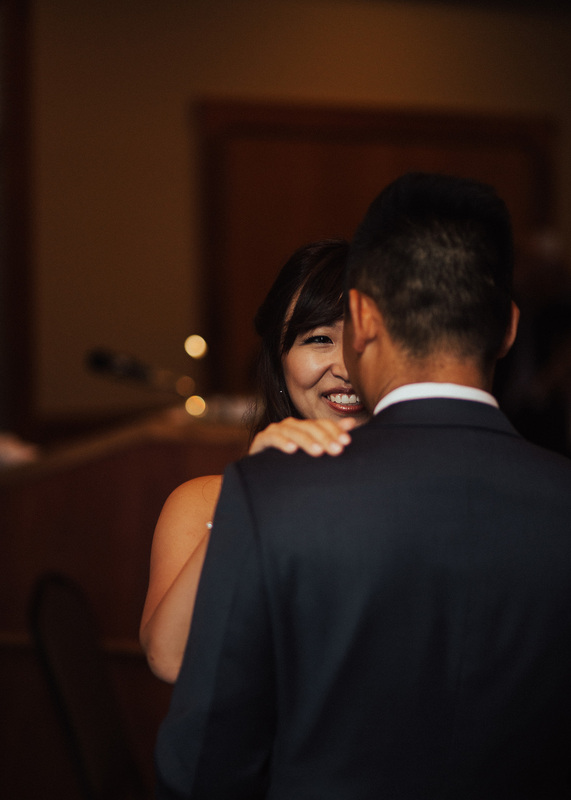 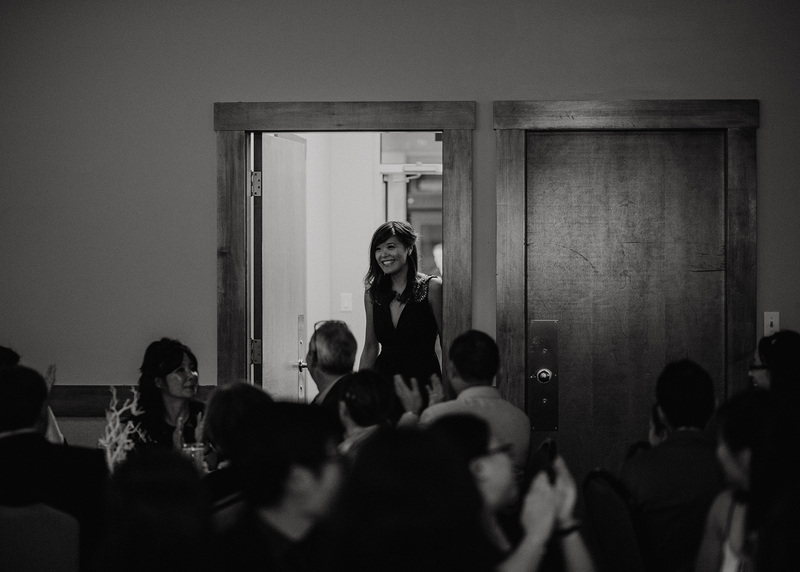 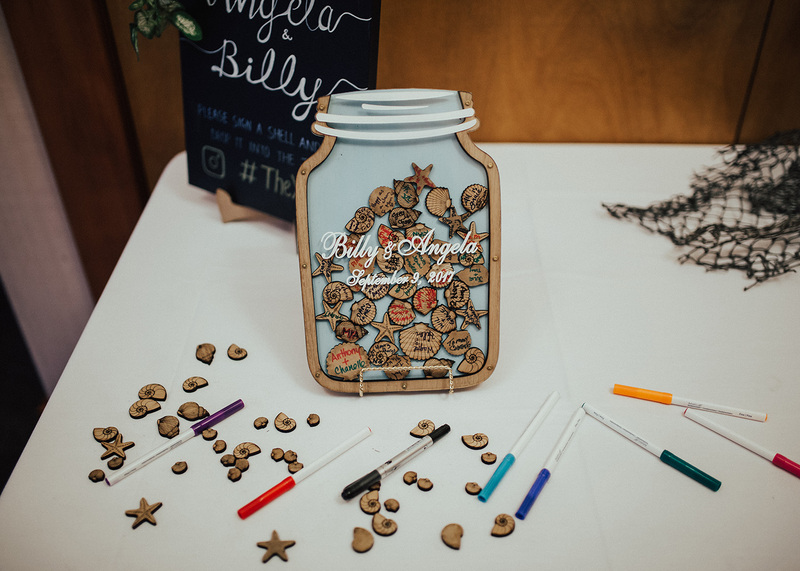 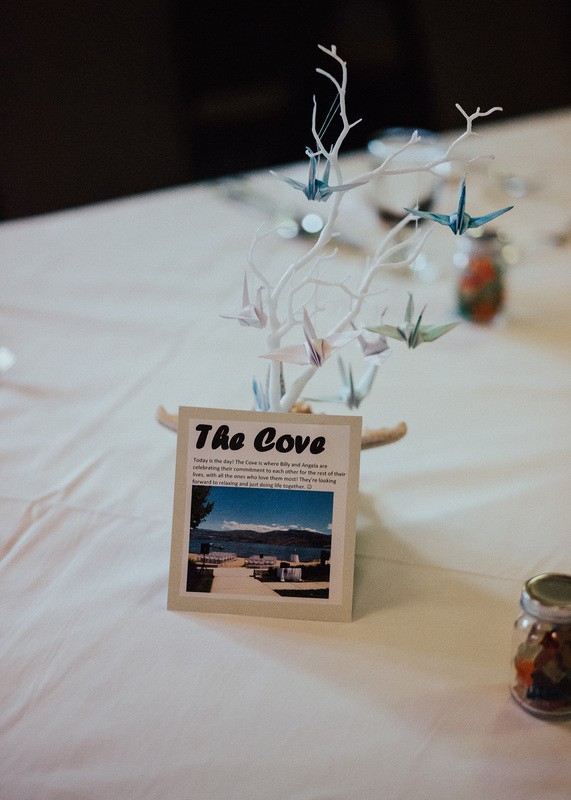 Lastly, we headed back The Cove’s reception room for some dancing + delicious food. 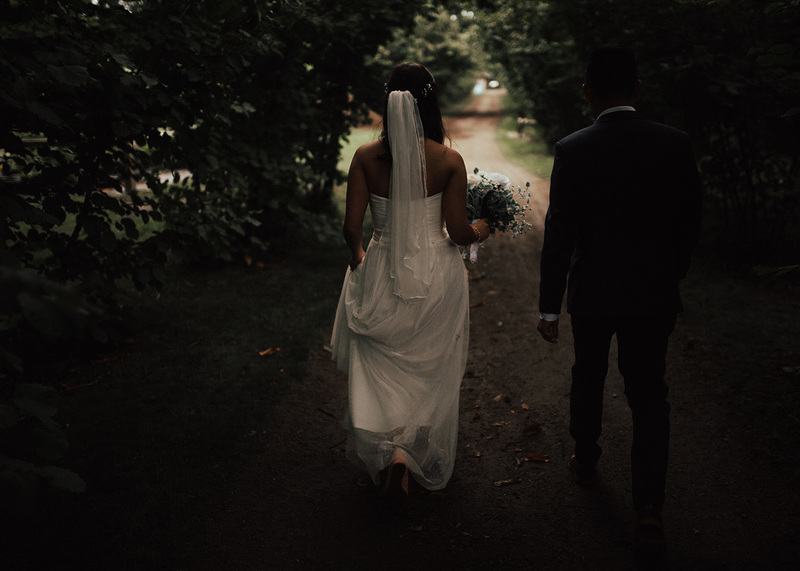 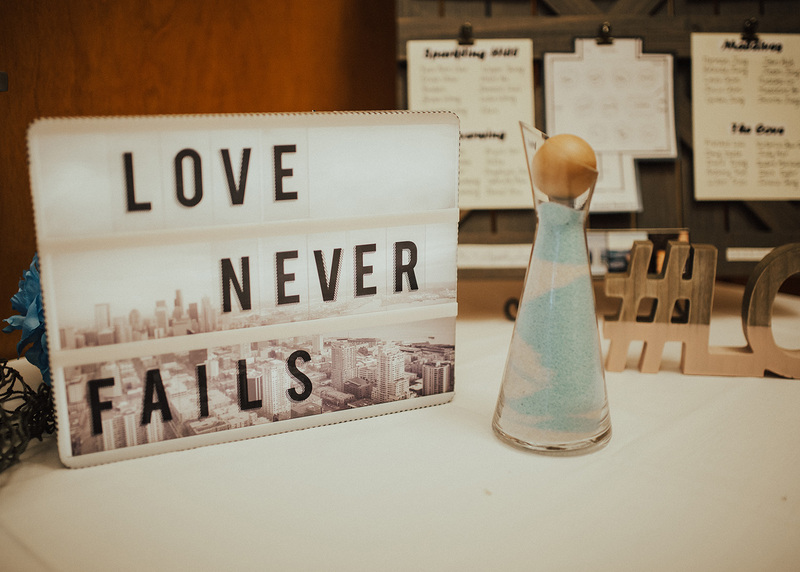 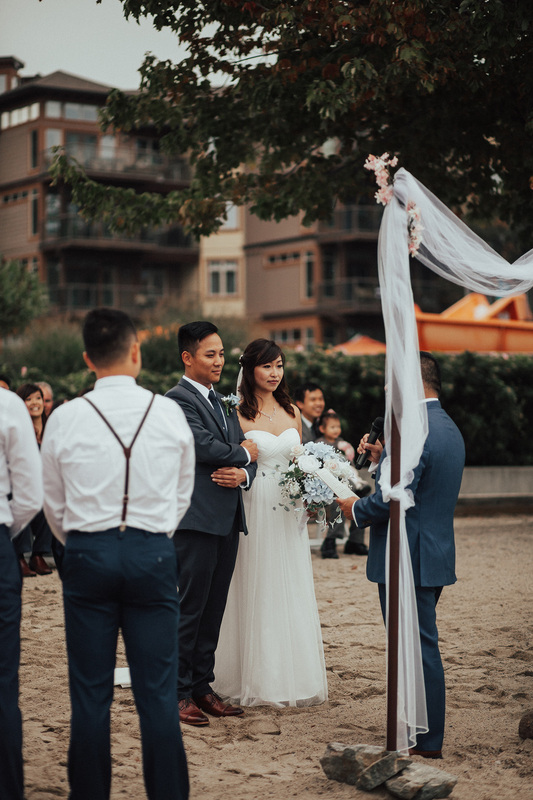 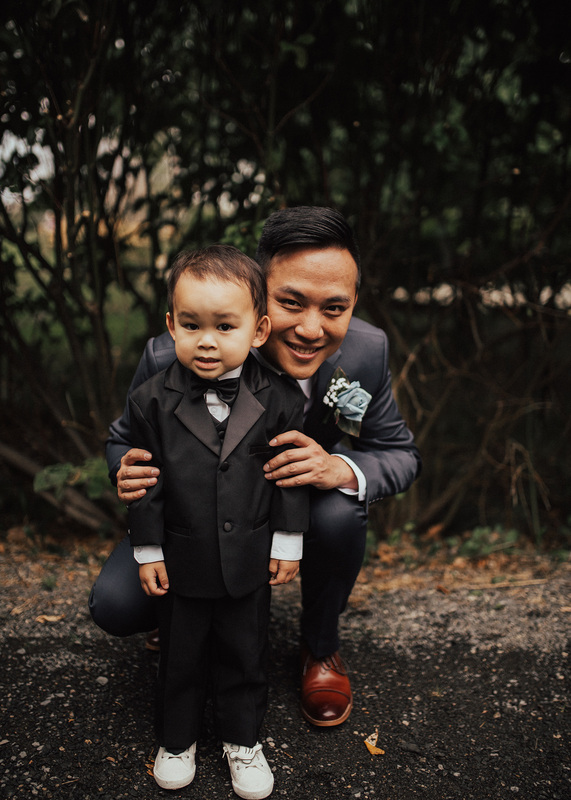 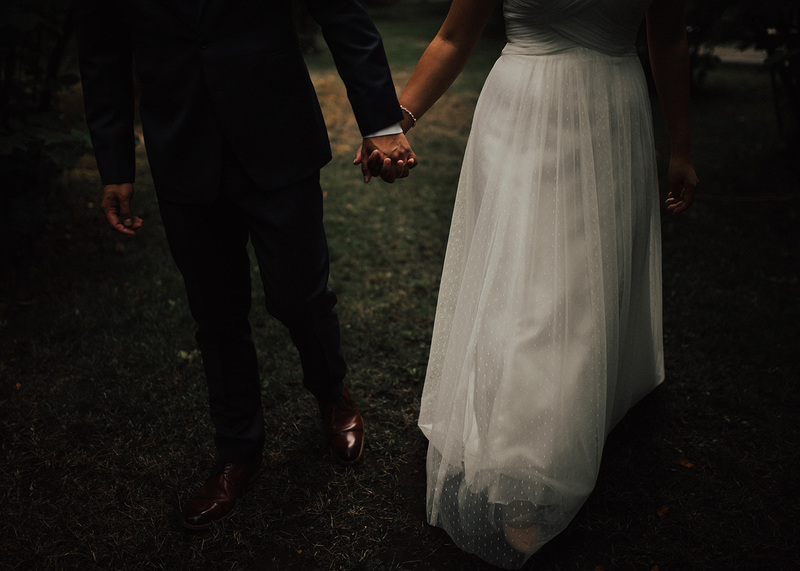 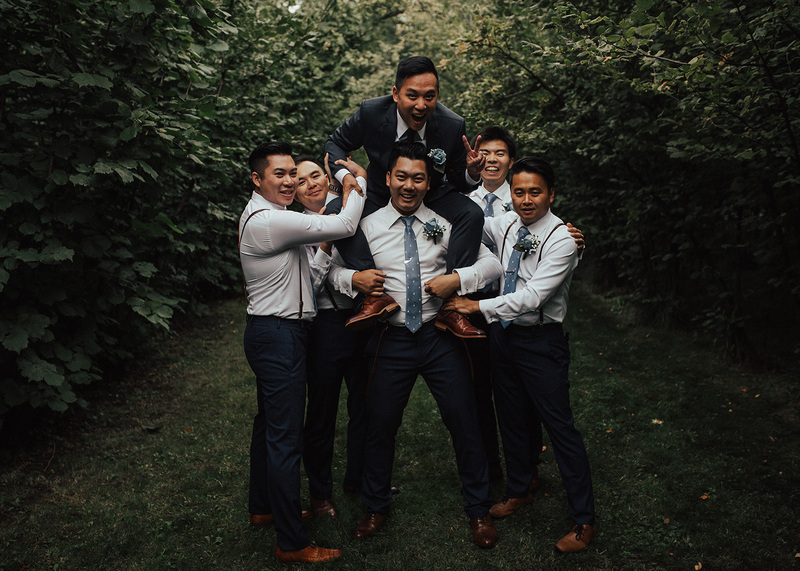 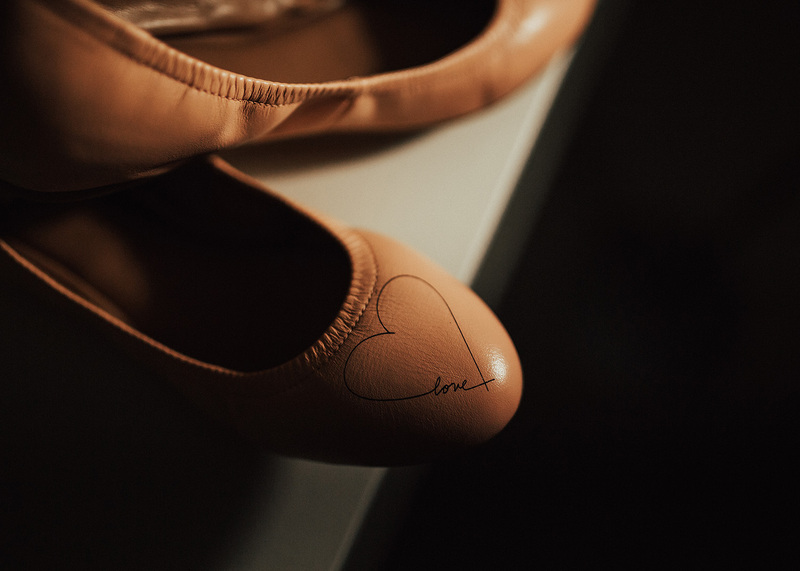 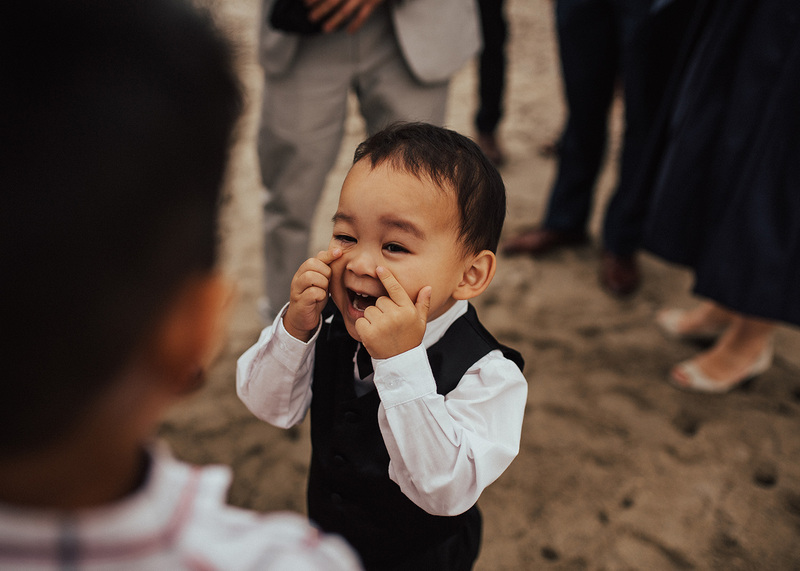 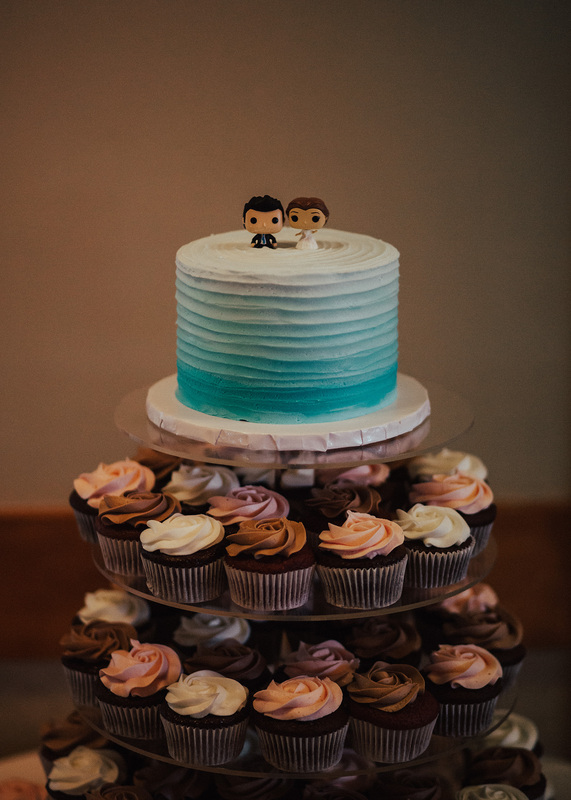 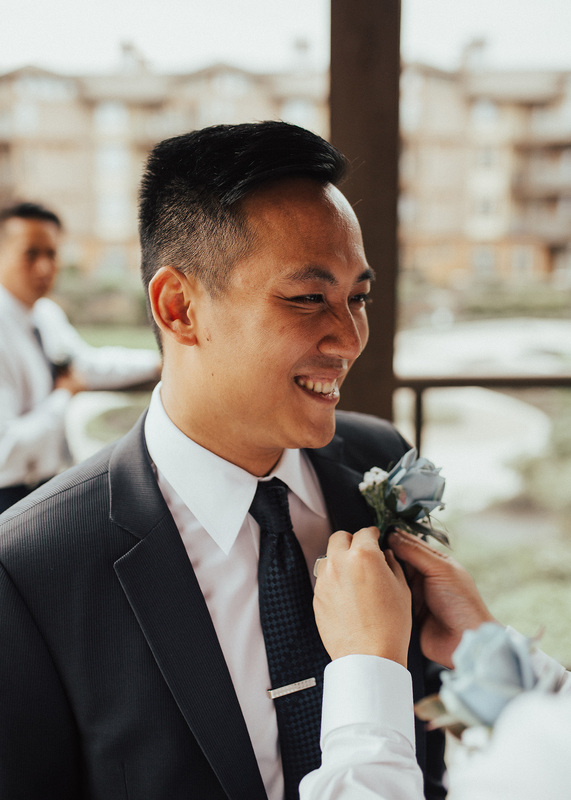 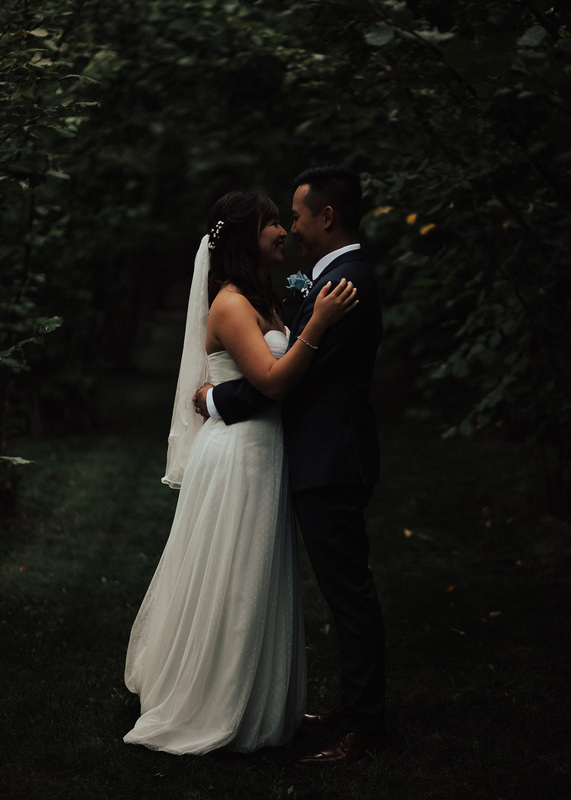 Check out their amazing day + leave them some love below! 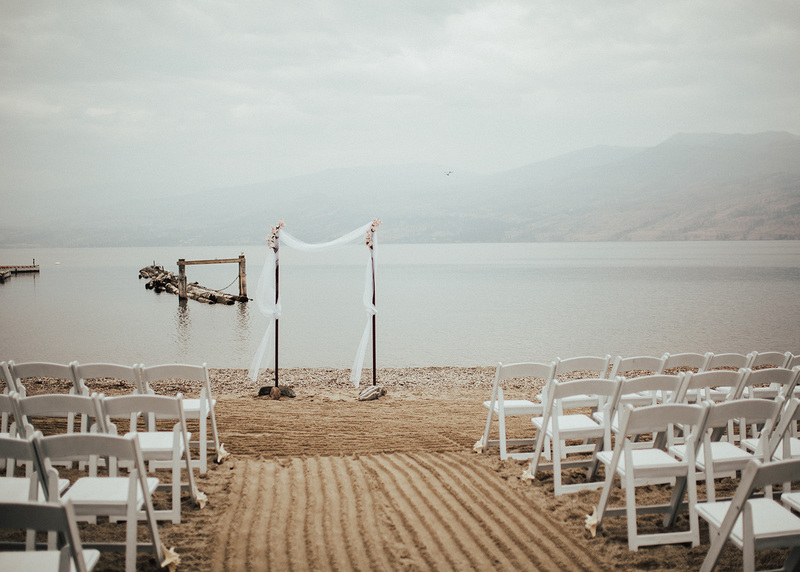 If you are thinking about getting married in West Kelowna at The Cove I would love to chat with you here!